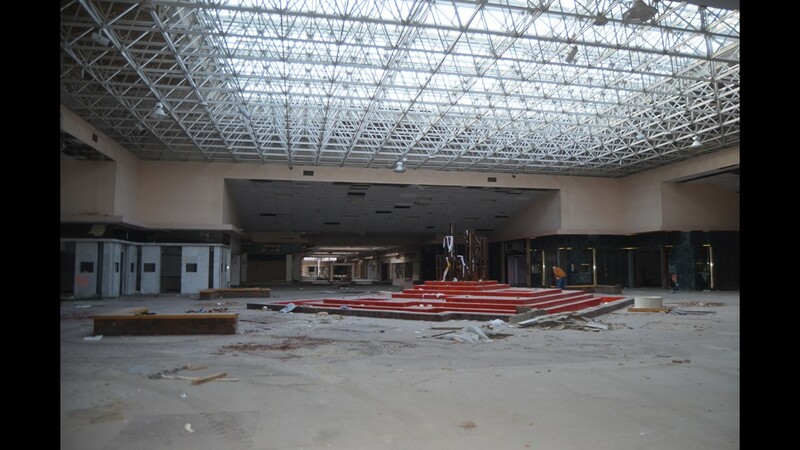 The city of Akron approved a highly secretive deal to develop the former Rolling Acres Mall site. 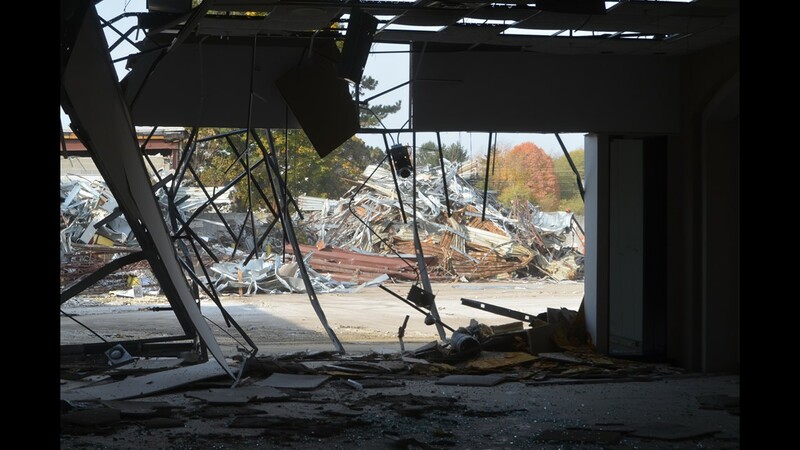 Public records point to Amazon as the future tenant. 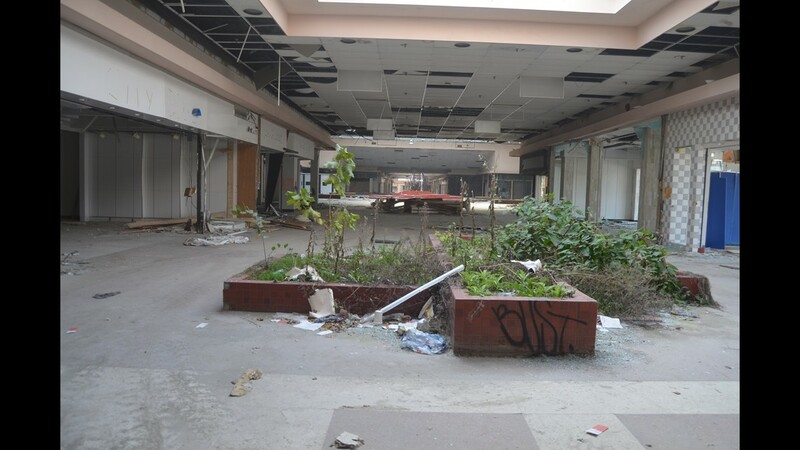 AKRON -- It's looking more likely that online retail giant, Amazon, is the company planning to build on the former site of Rolling Acres Mall. 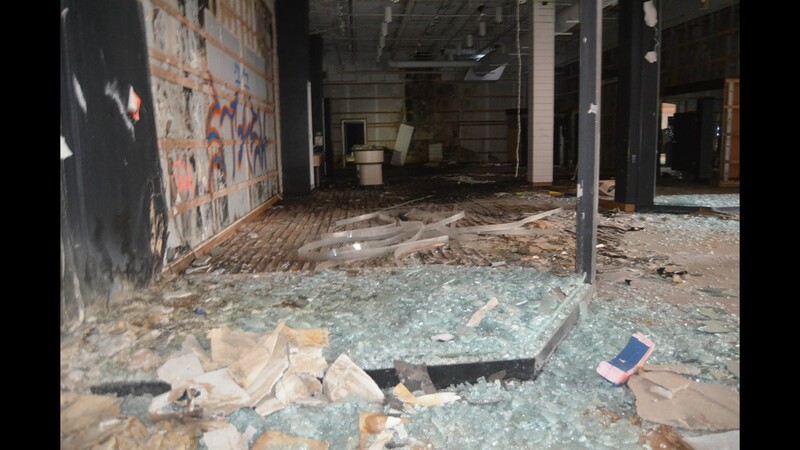 The business dealings over the city-owned property have been criticized for their highly secretive nature. 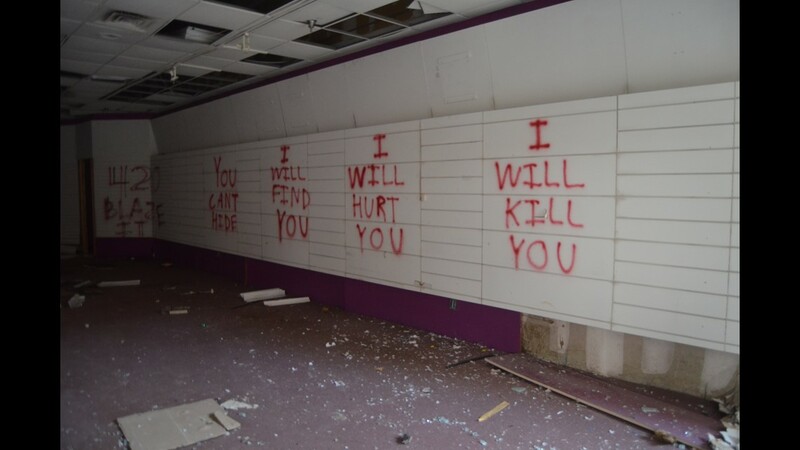 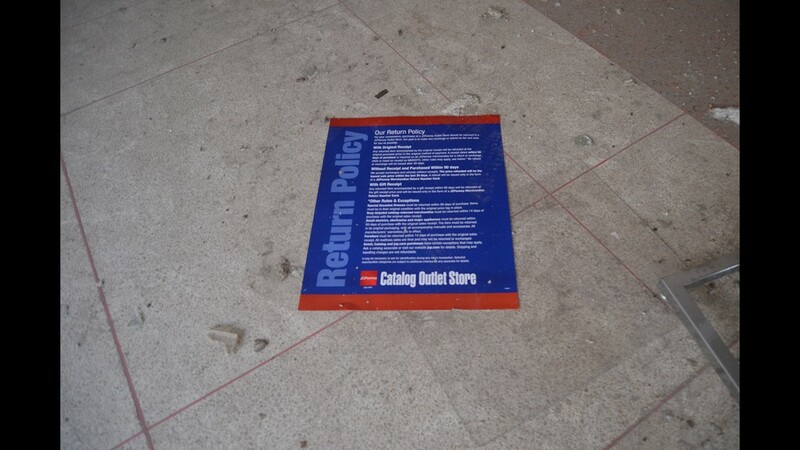 However, public records reveal signs that point to Amazon. 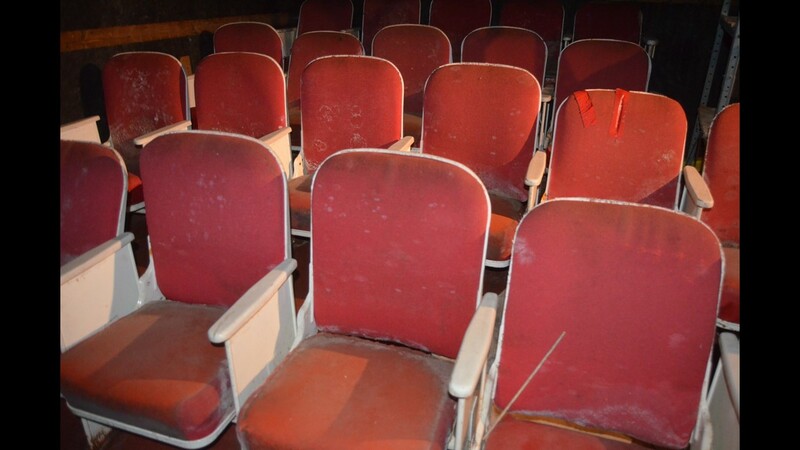 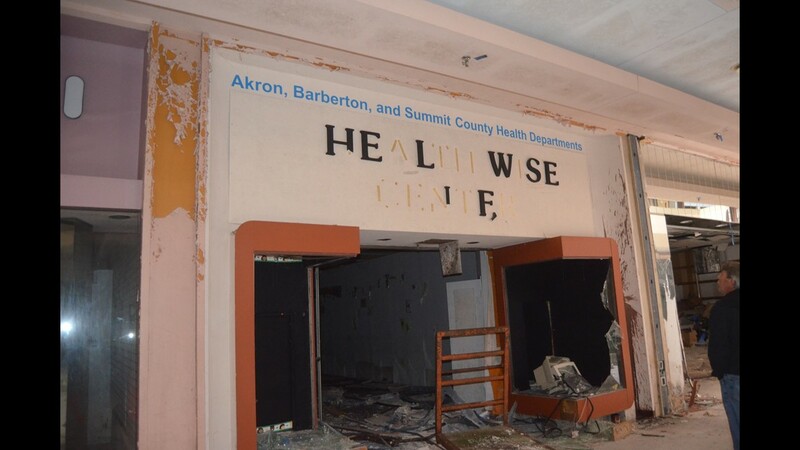 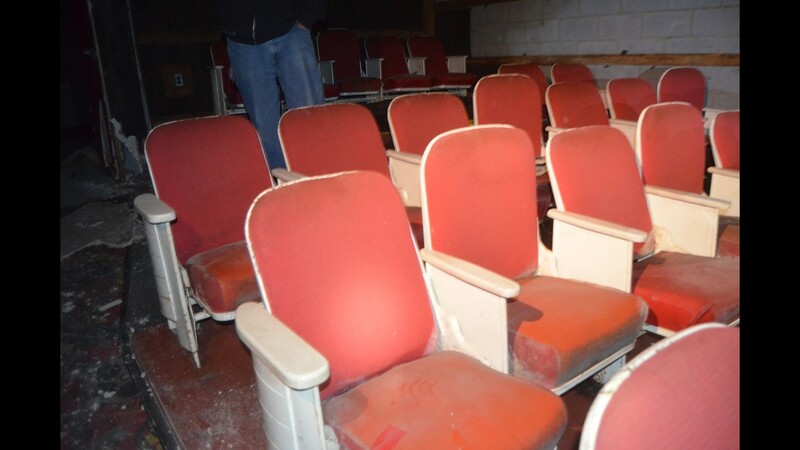 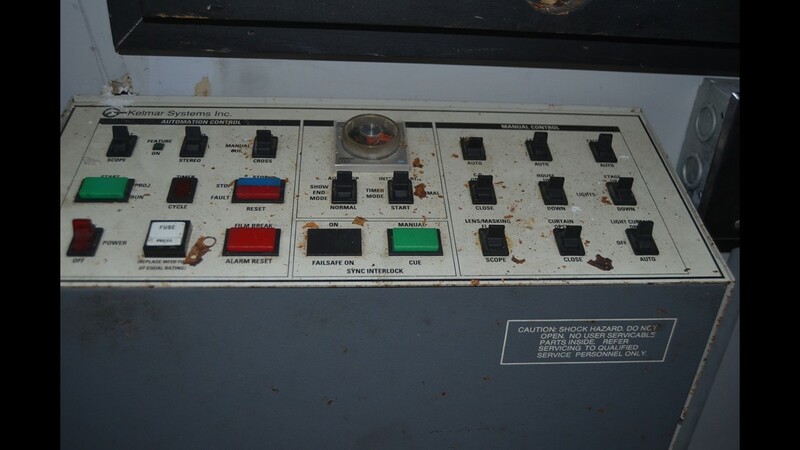 Without even knowing whom they were authorizing the city to do business with, Akron City Council members voted 12-to-1 last July, to approve the sale of the property for a mere $600,000. 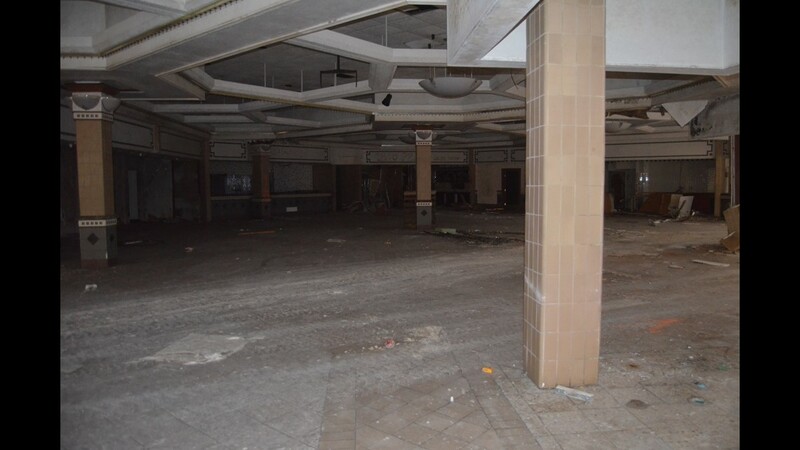 Twelve council members trusted Mayor Dan Horrigan's promise that a secret company would buy the city-owned property and bring a $100 million development and 500 new jobs. 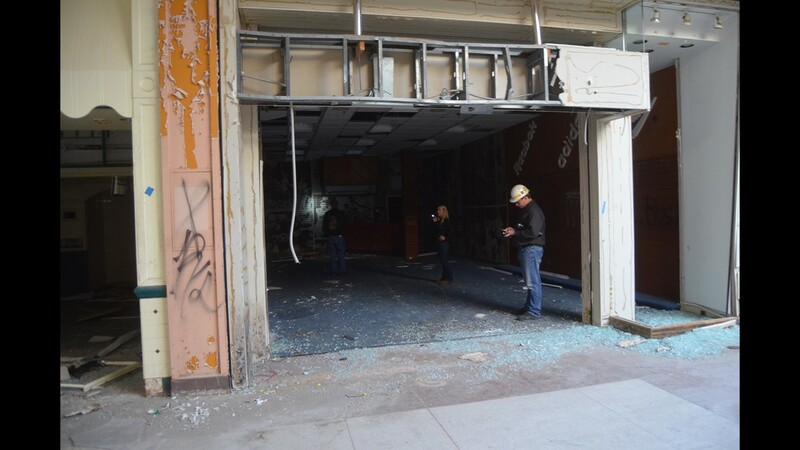 The lone dissenting vote was from Ward 10 Councilman, Zack Milkovich. 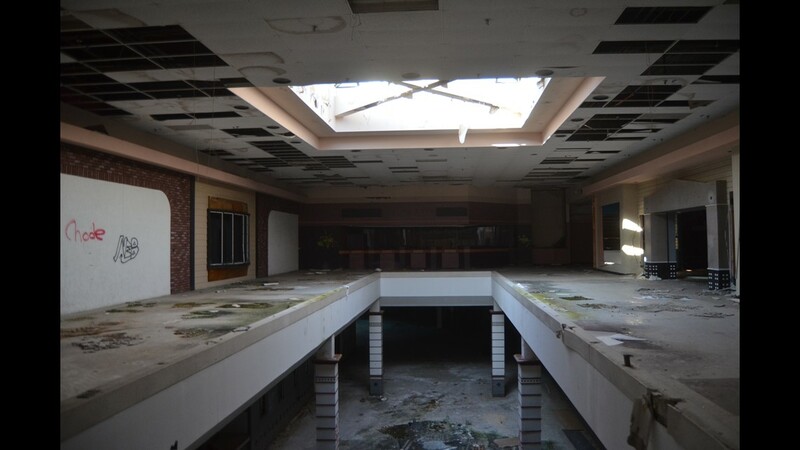 "Everything should be out in the open, especially when it's the people's land," he said after the vote. 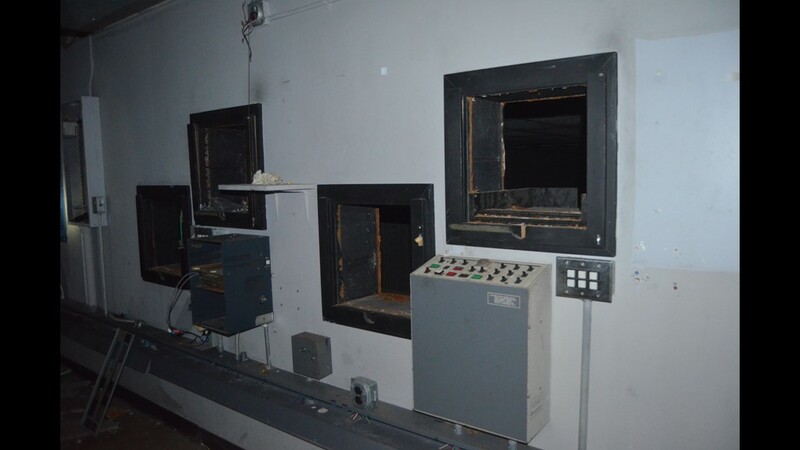 But not so secret -- are public records. 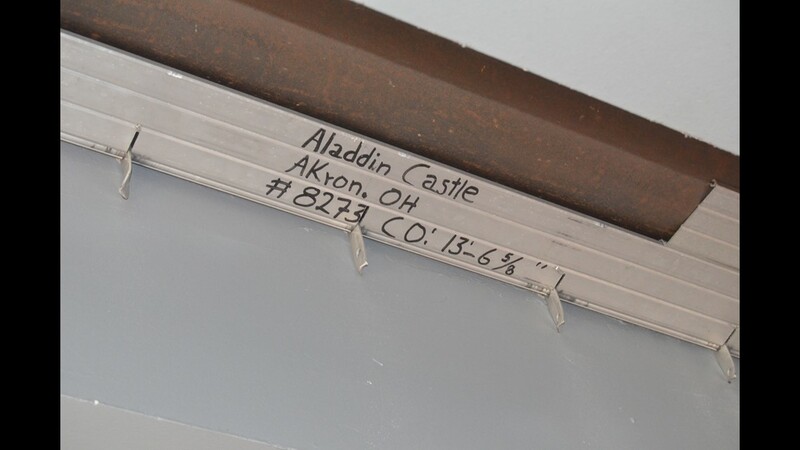 The business registration with the Ohio Secretary of State for the Rolling Acres developer is Delaware-based company, Akron Romig Road, LLC. 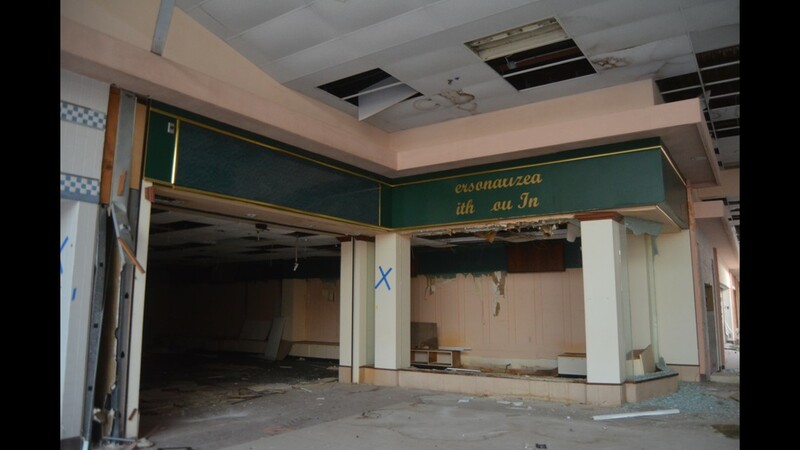 Records show its authorized representative is CF Hippolyta, LLC. 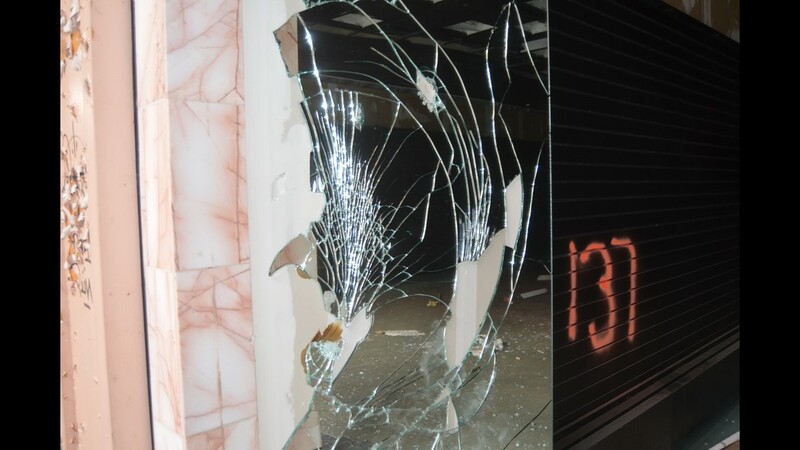 Hippolyta is the name of the Queen of the Amazons in Greek mythology. 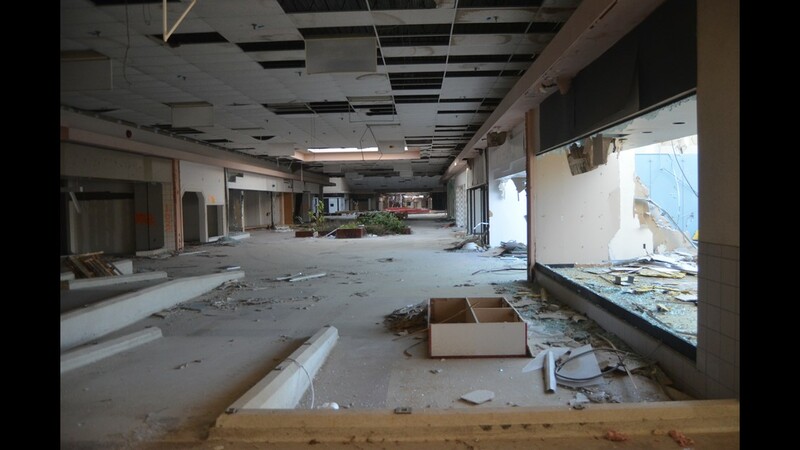 A multi-state records search also reveals CF Hippolyta in other cities, including Bakersfield, Calif., Bessemer, Ala., and Spokane, Wash., where Amazon has officially announced plans to build fulfillment centers in those cities. 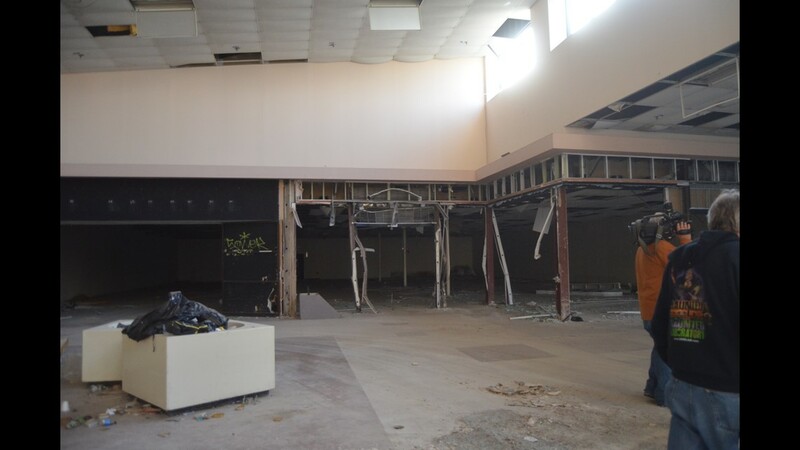 Last June, the Charlotte, North Carolina city council approved a land deal with CF Hippolyta Charlotte, for construction of an Amazon distribution enter near the Charlotte Douglas International Airport. 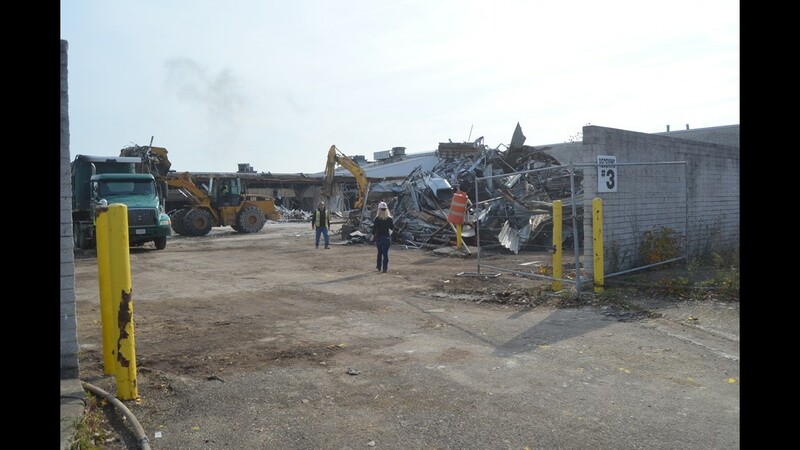 Mayor Horrigan's office has remained mum about the Rolling Acres project. 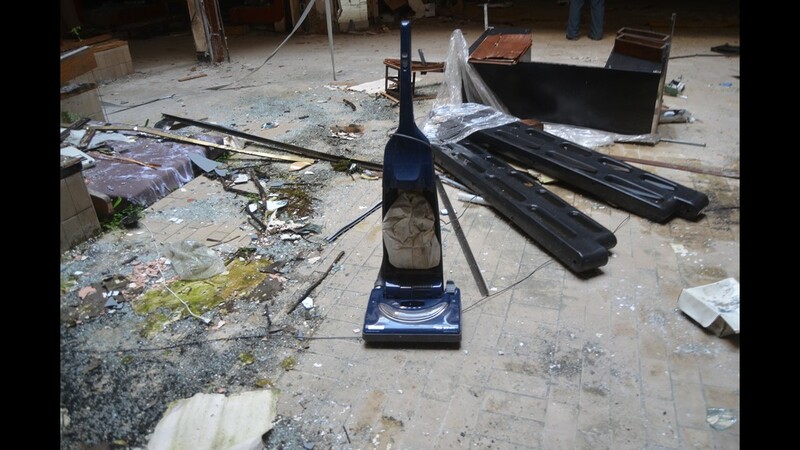 An Amazon spokesperson did not comment. 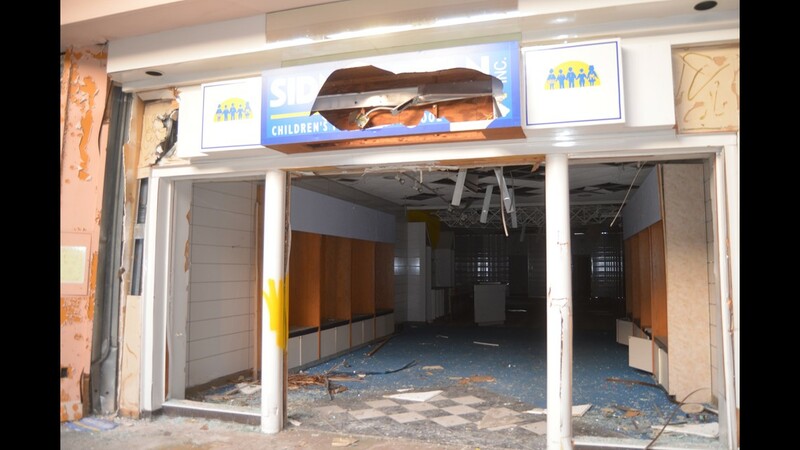 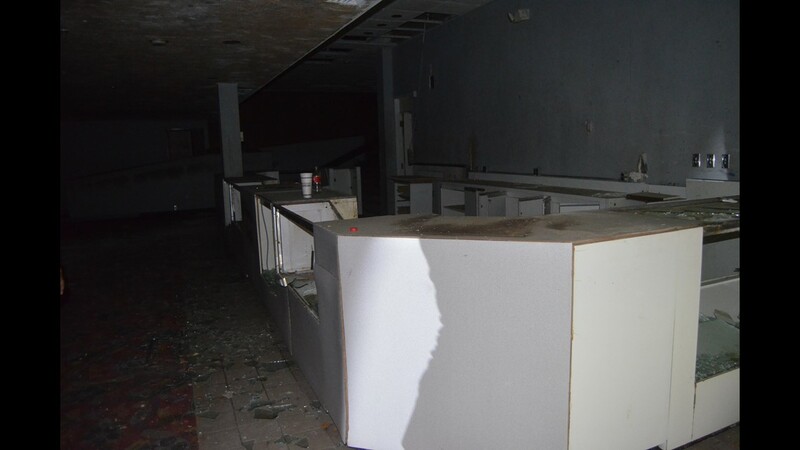 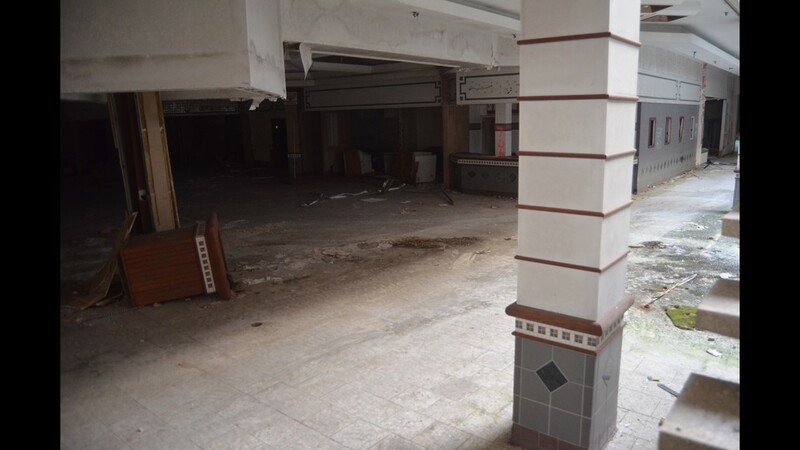 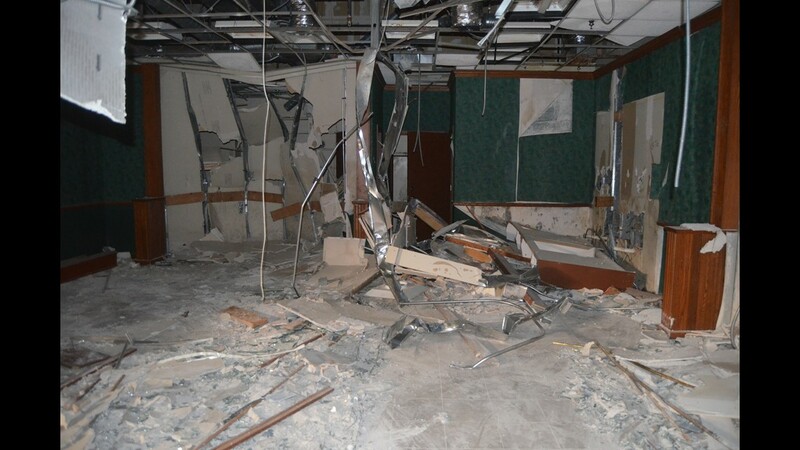 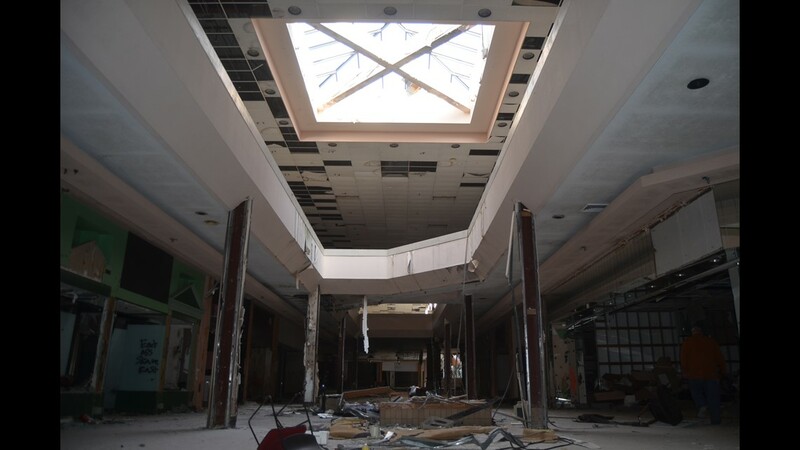 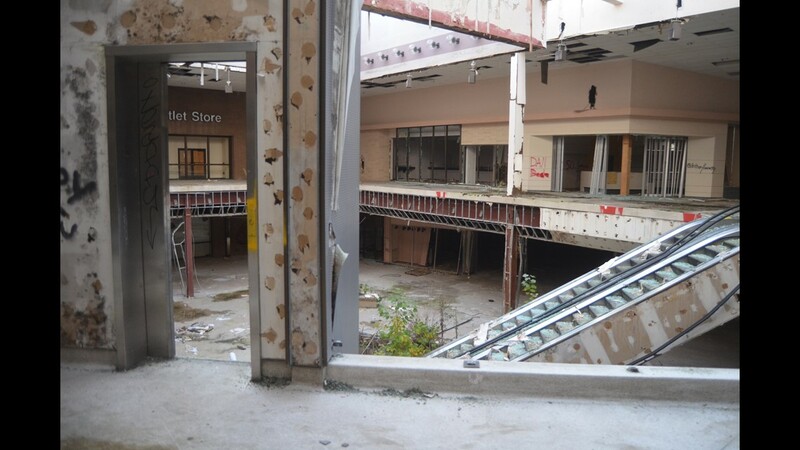 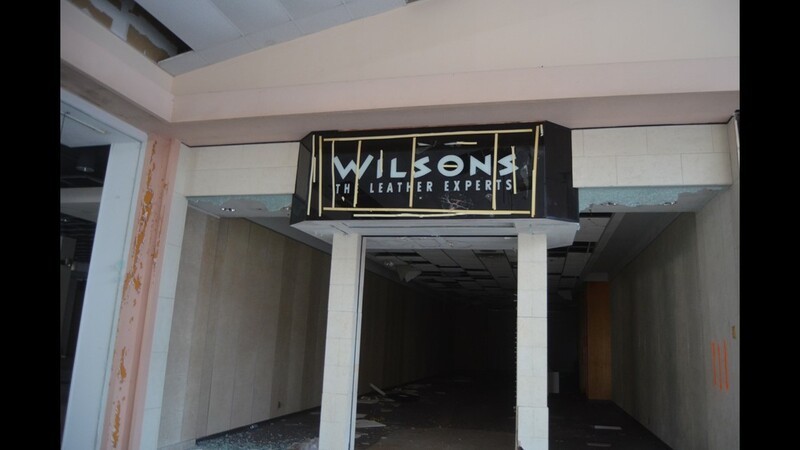 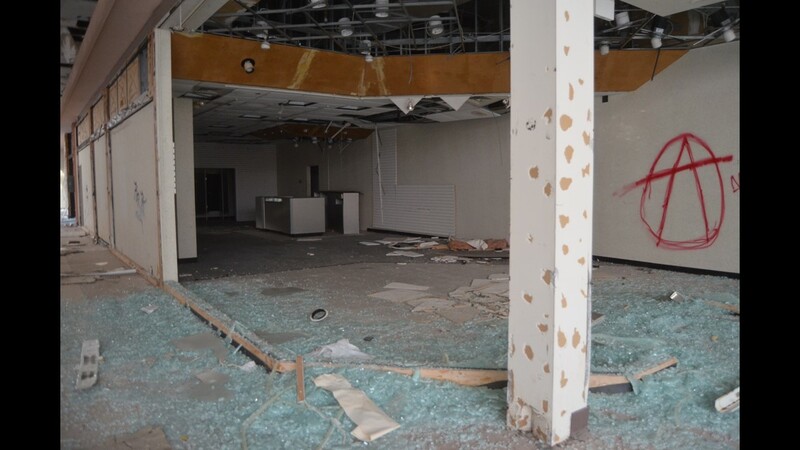 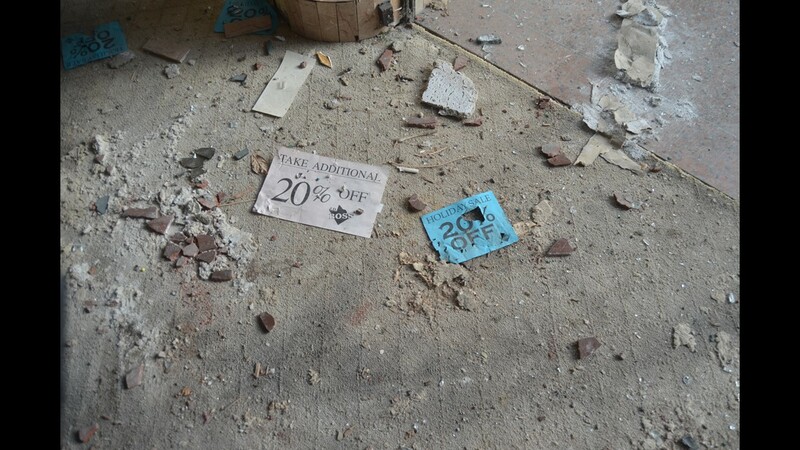 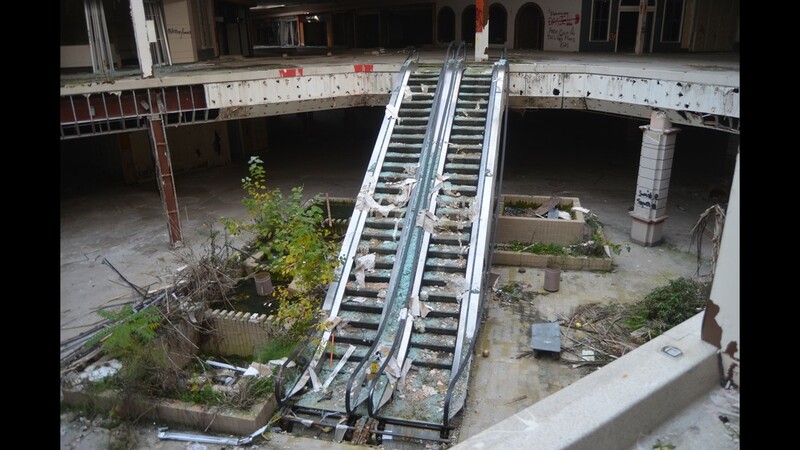 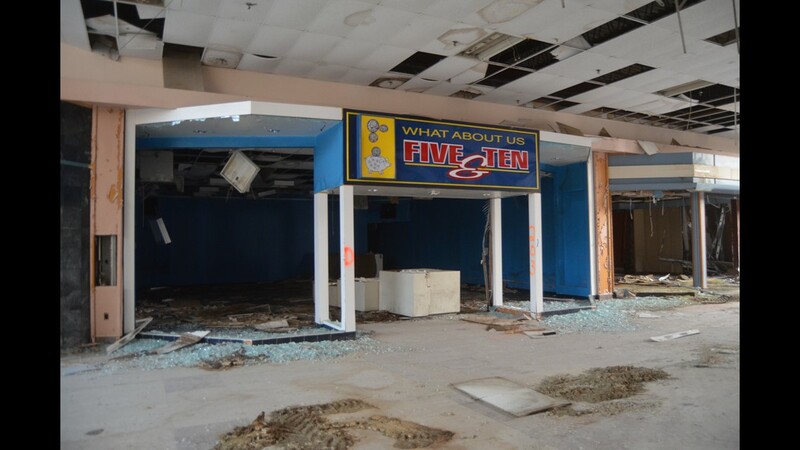 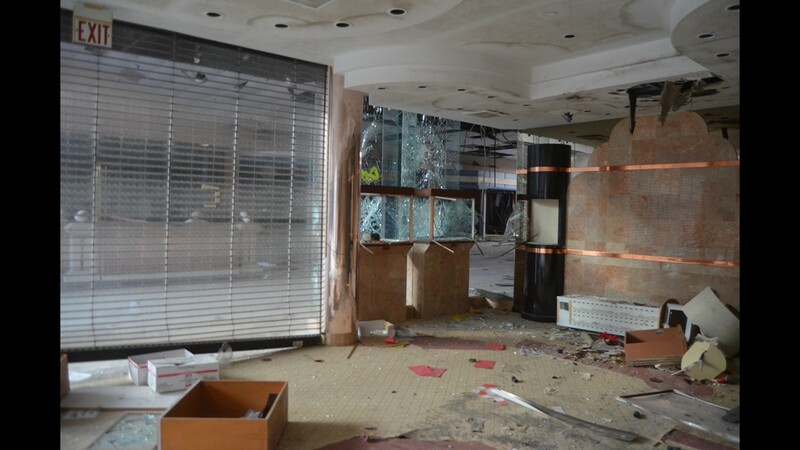 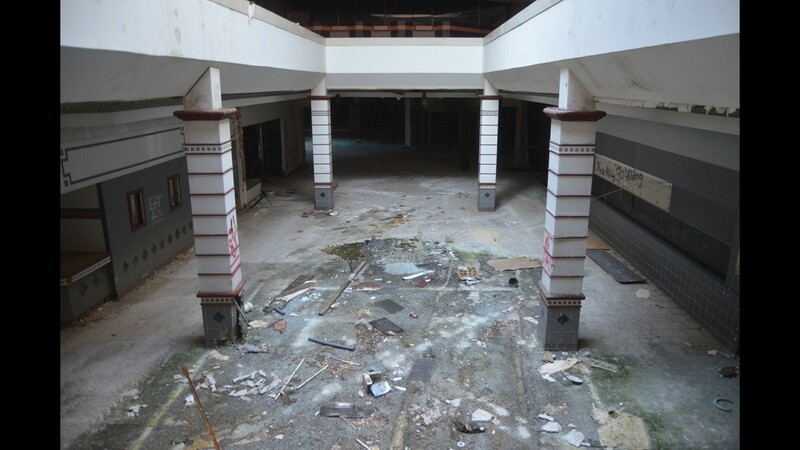 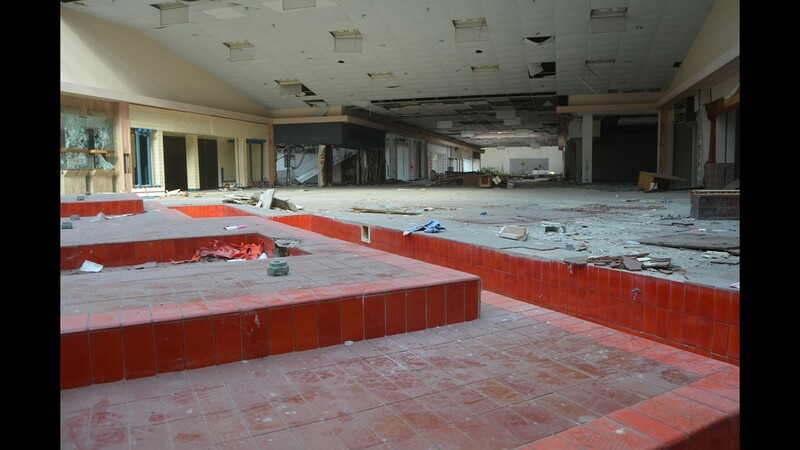 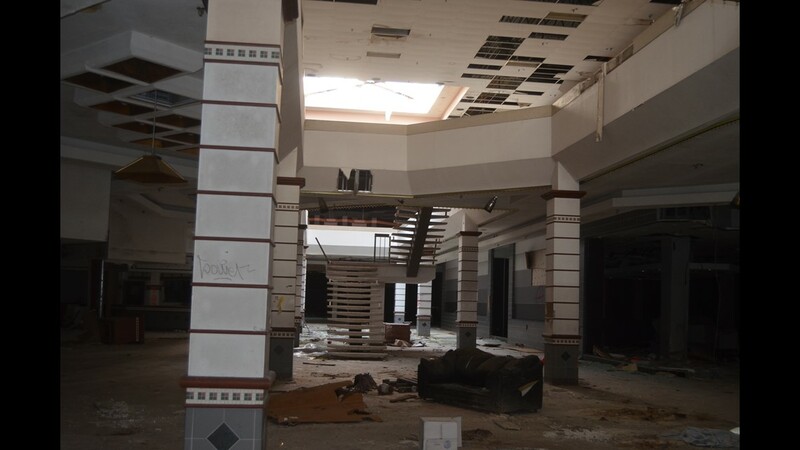 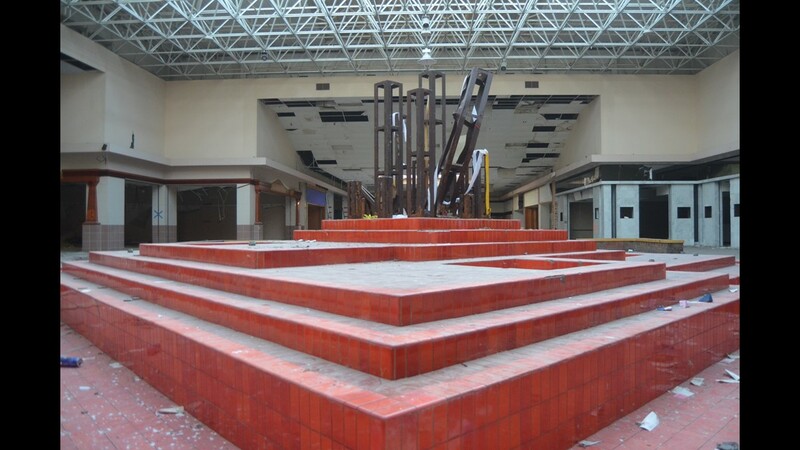 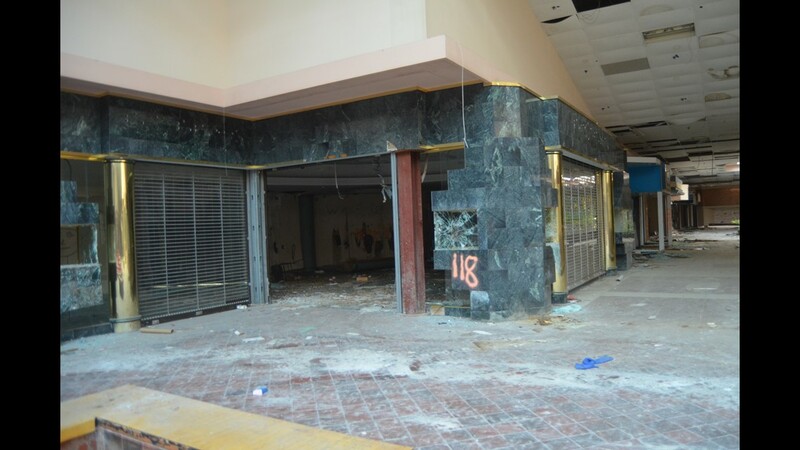 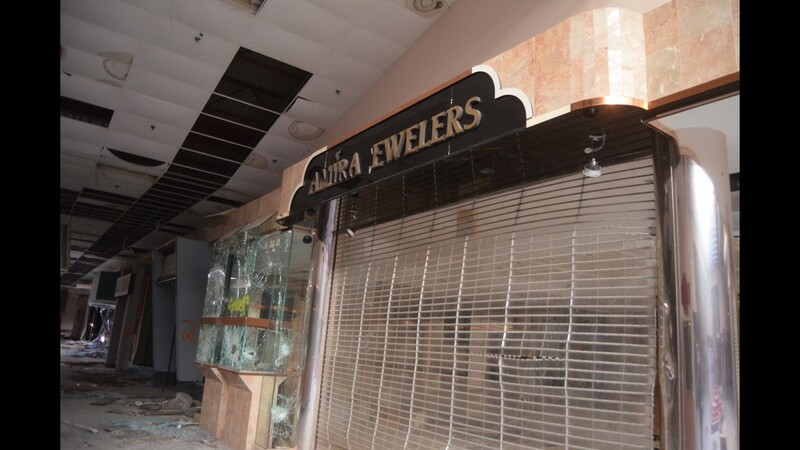 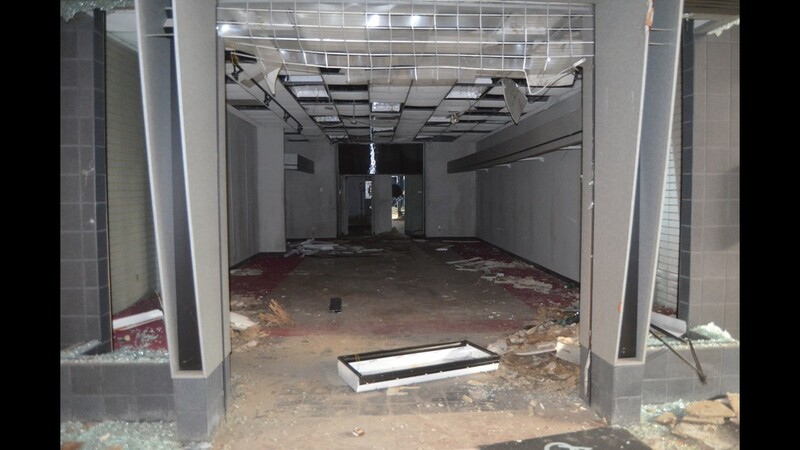 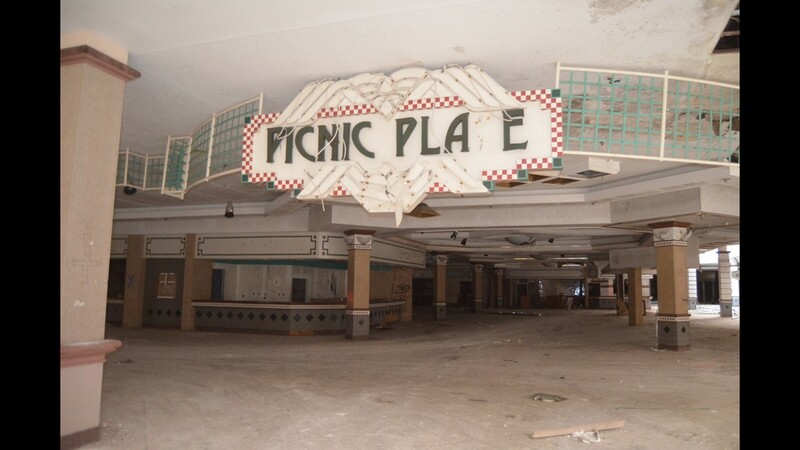 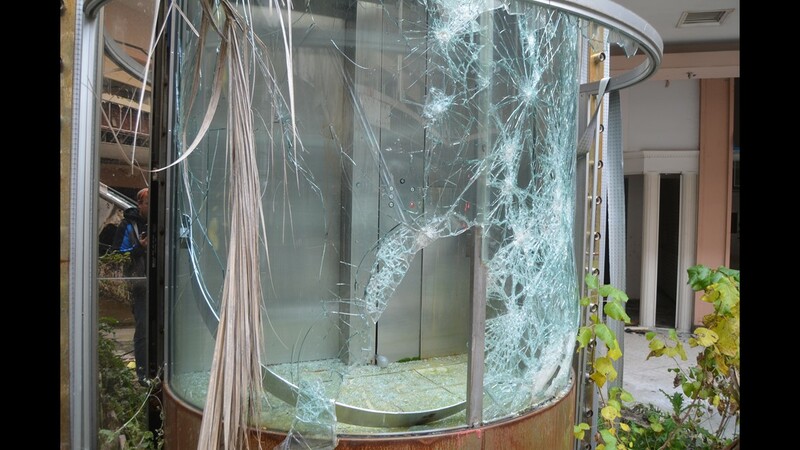 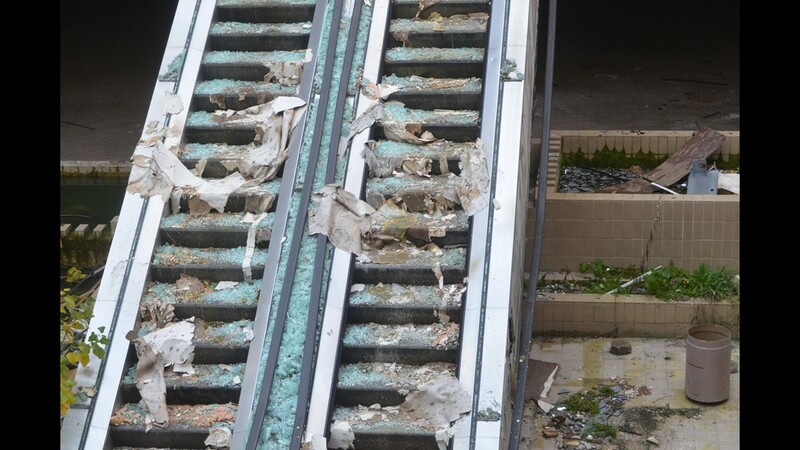 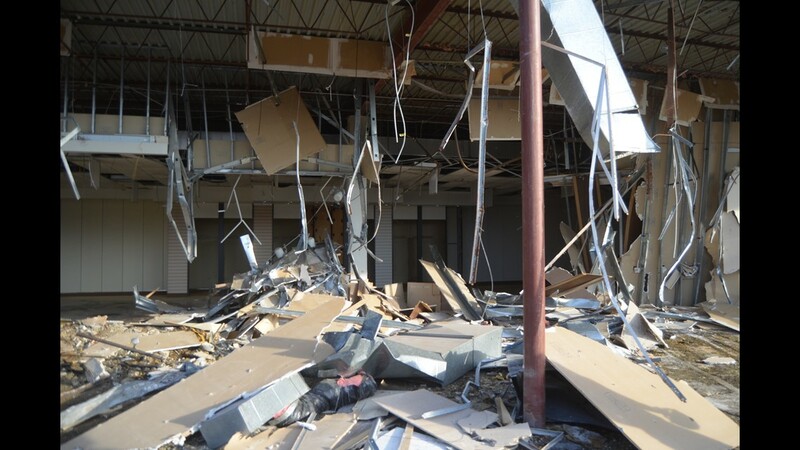 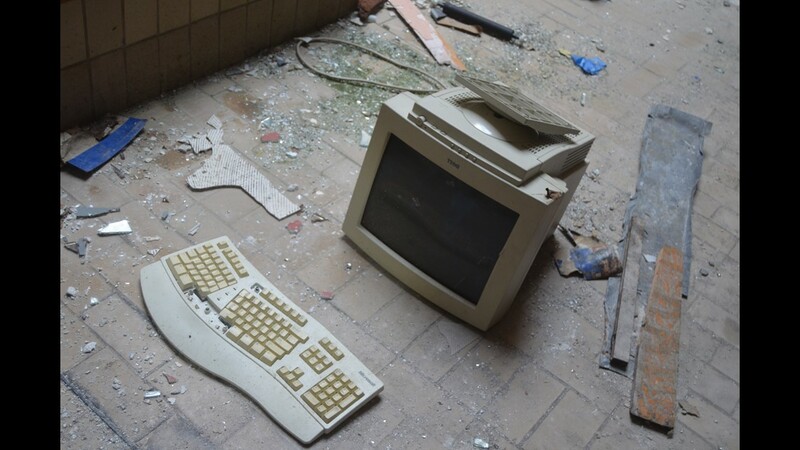 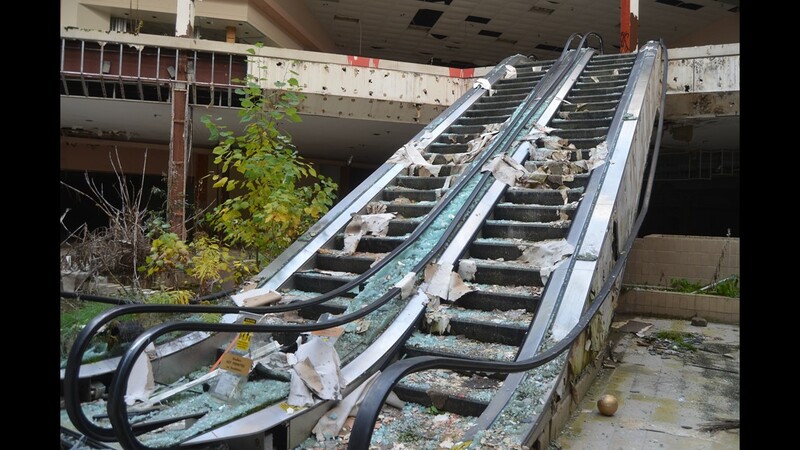 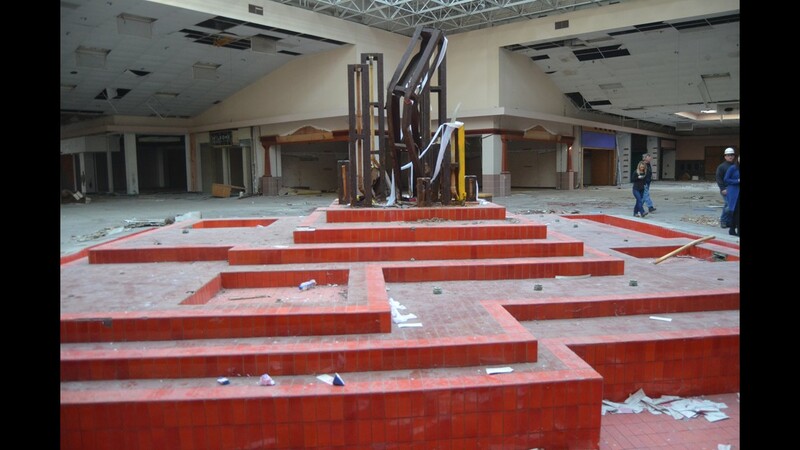 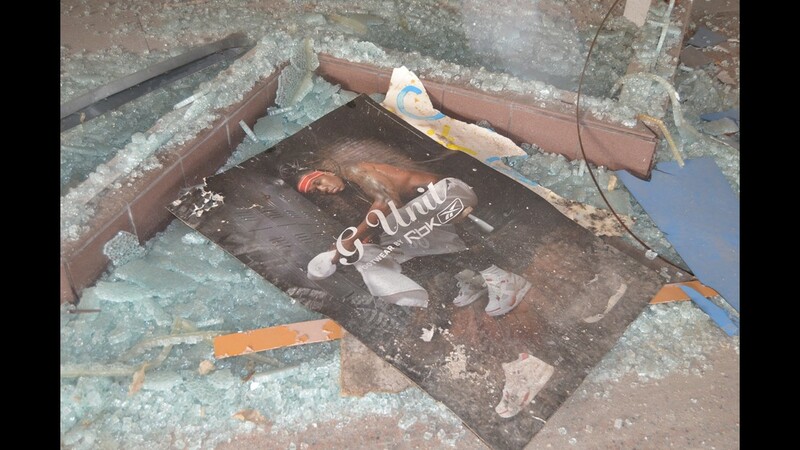 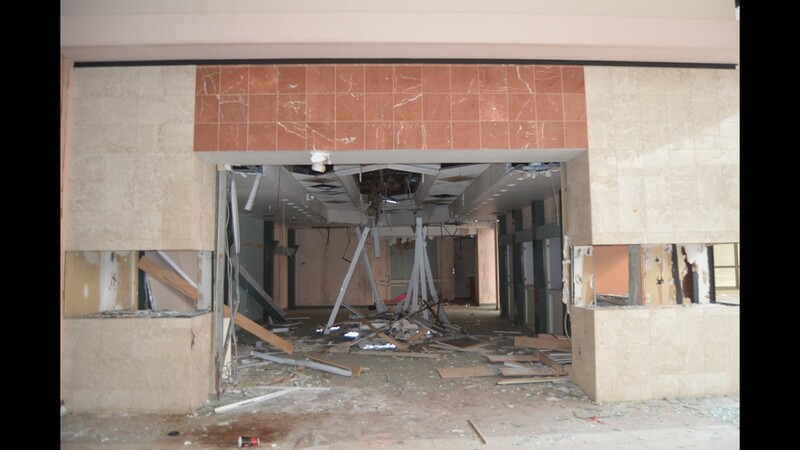 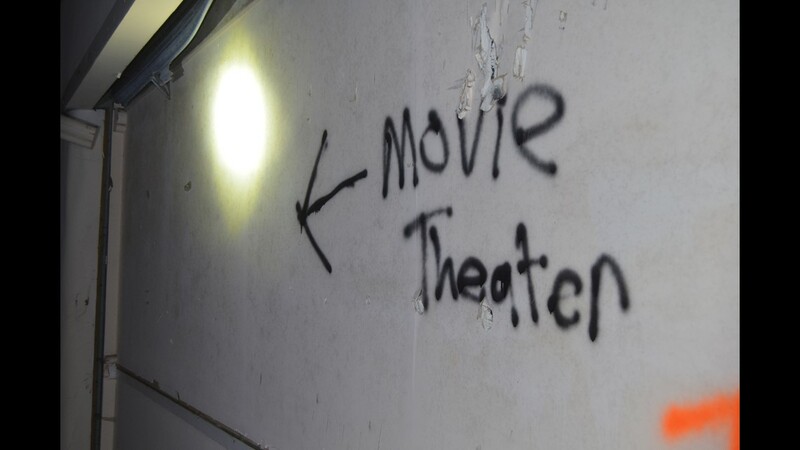 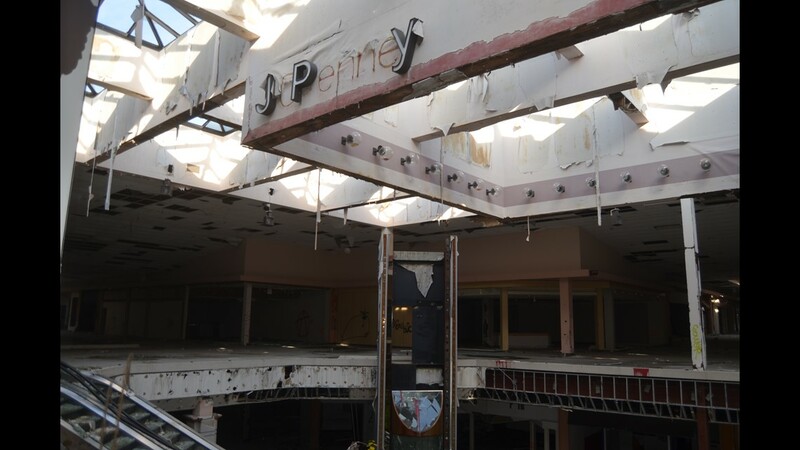 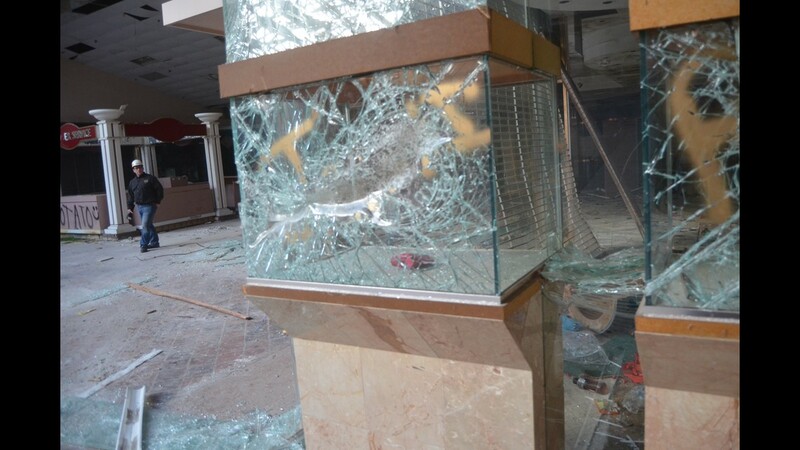 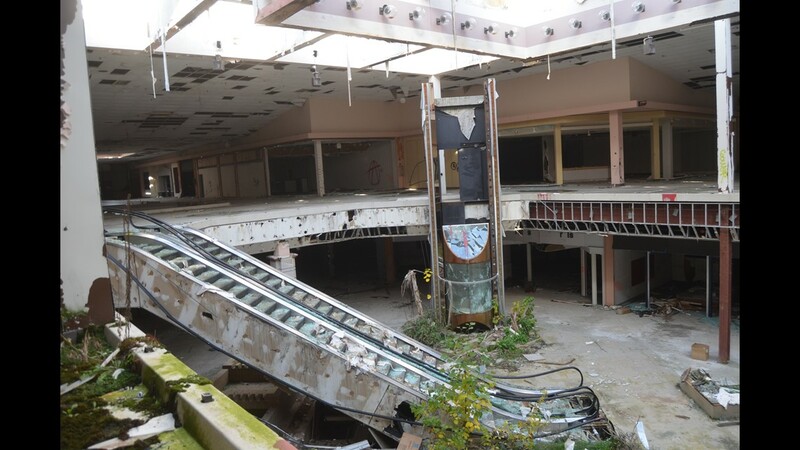 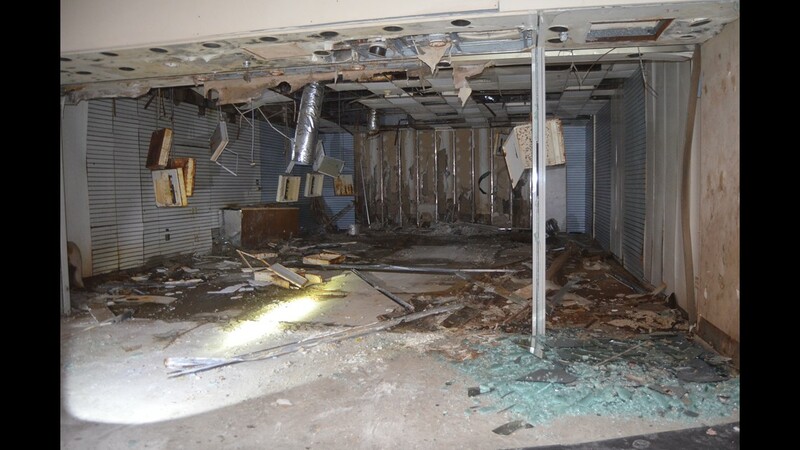 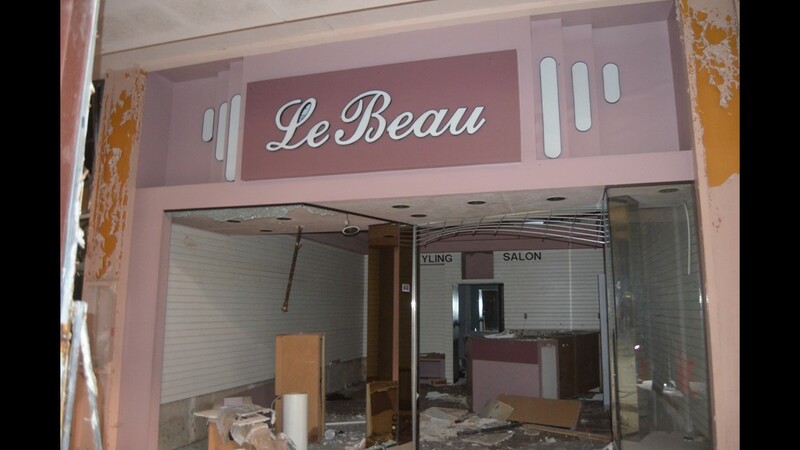 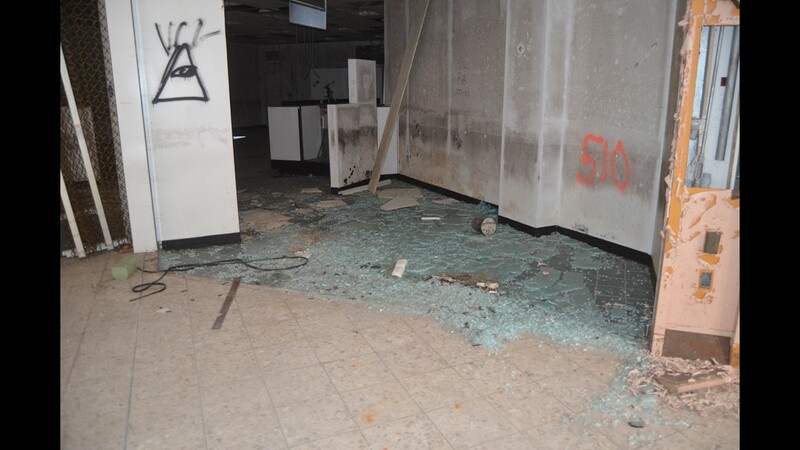 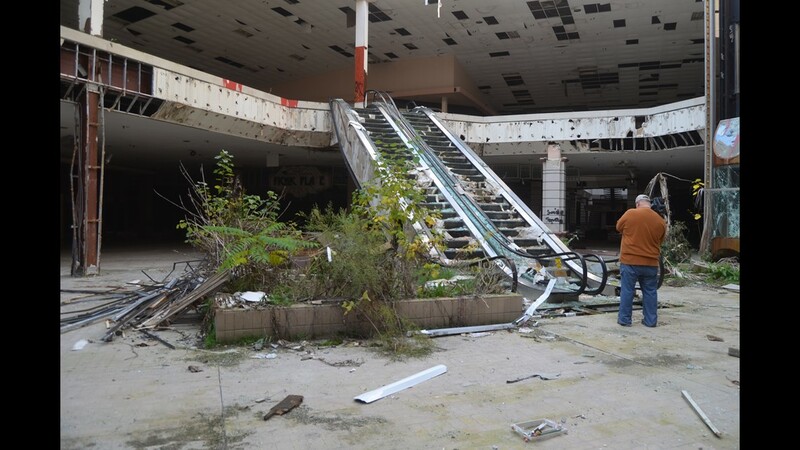 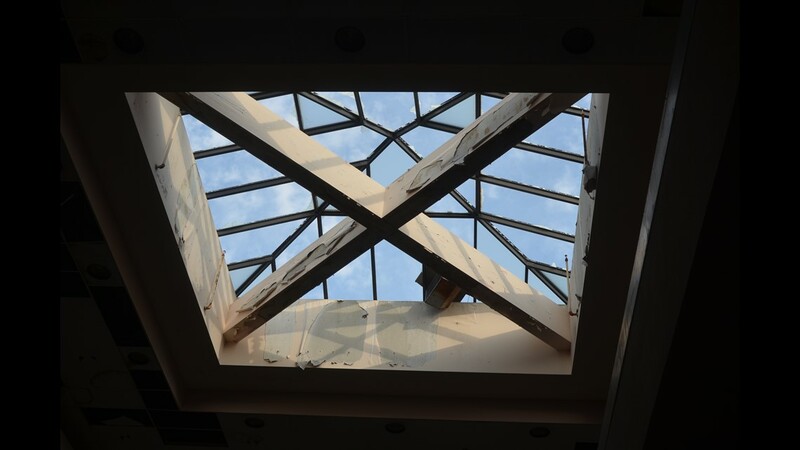 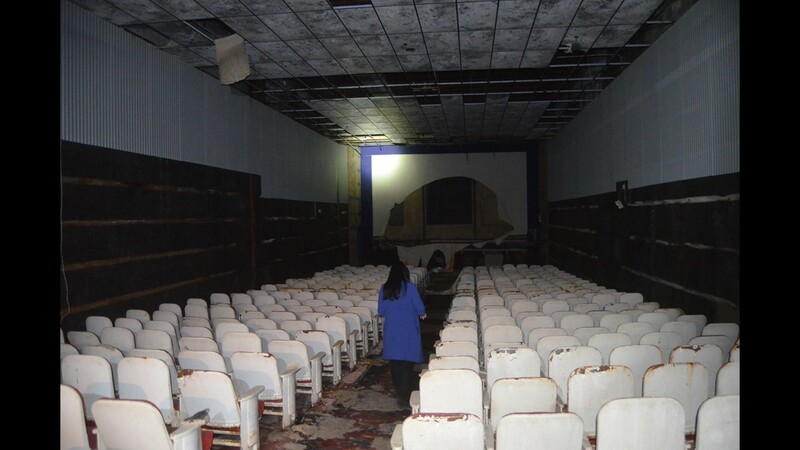 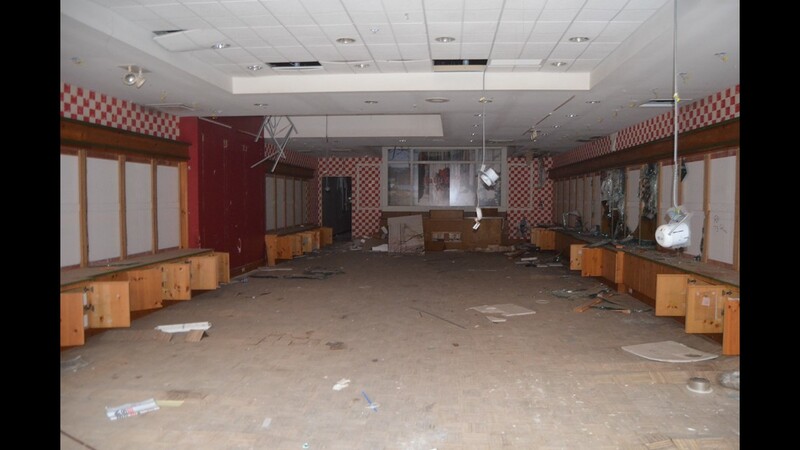 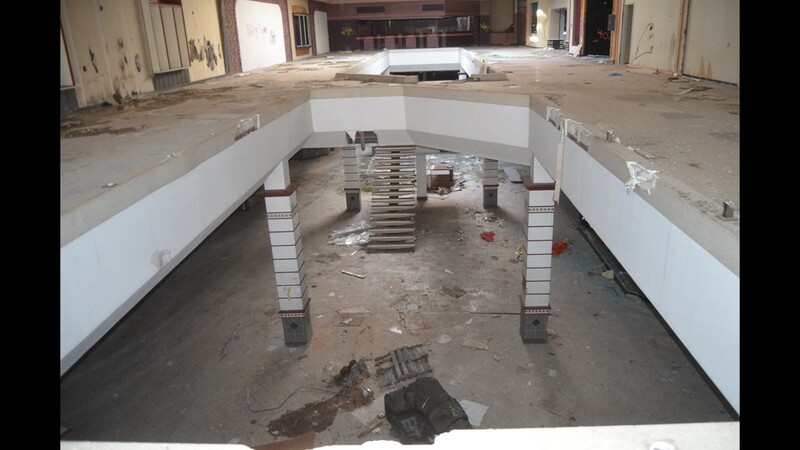 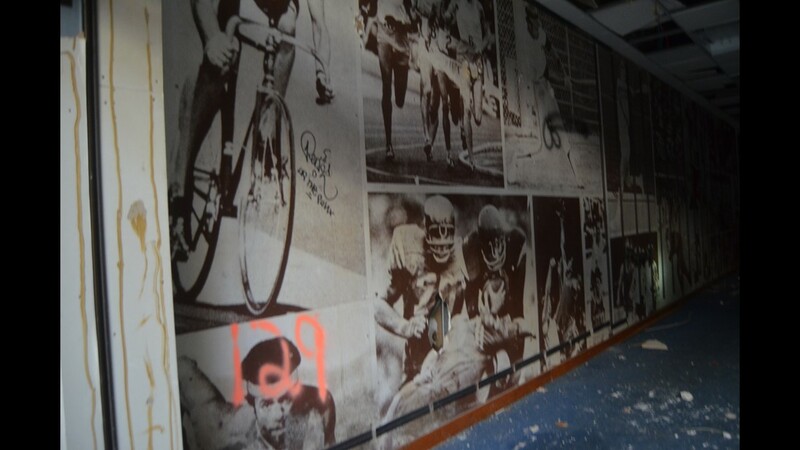 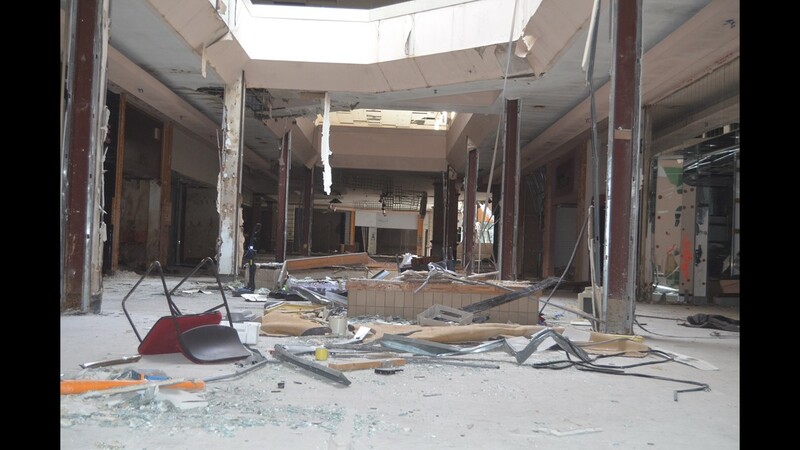 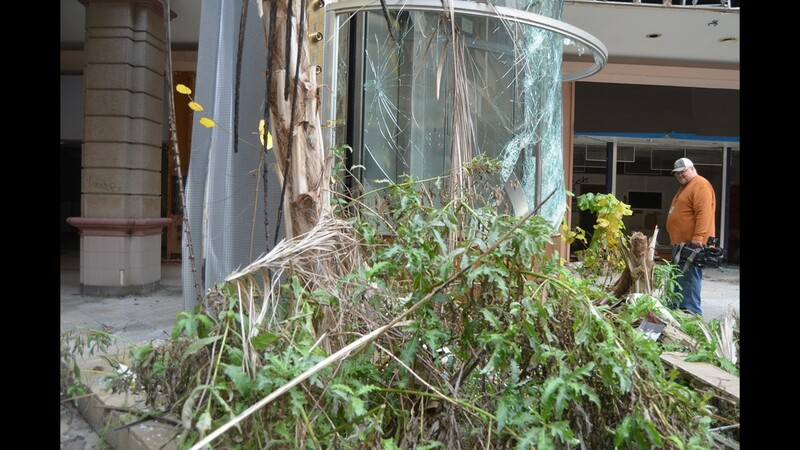 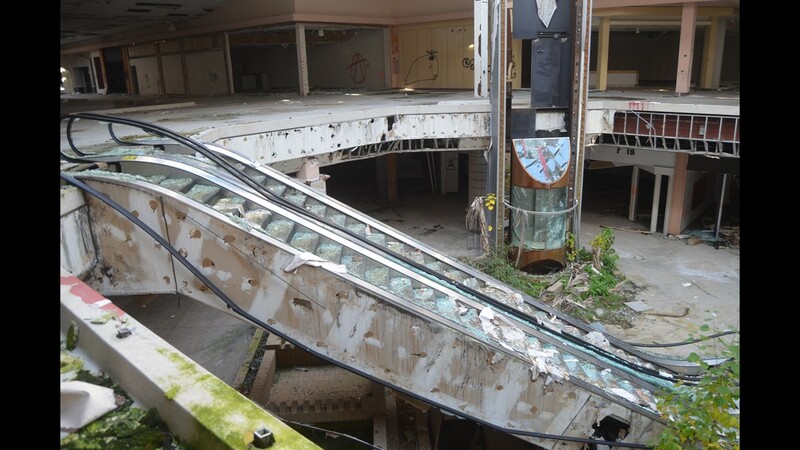 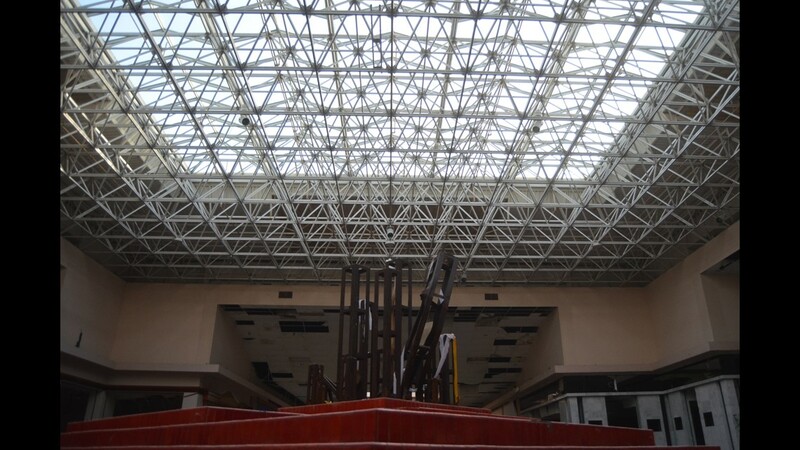 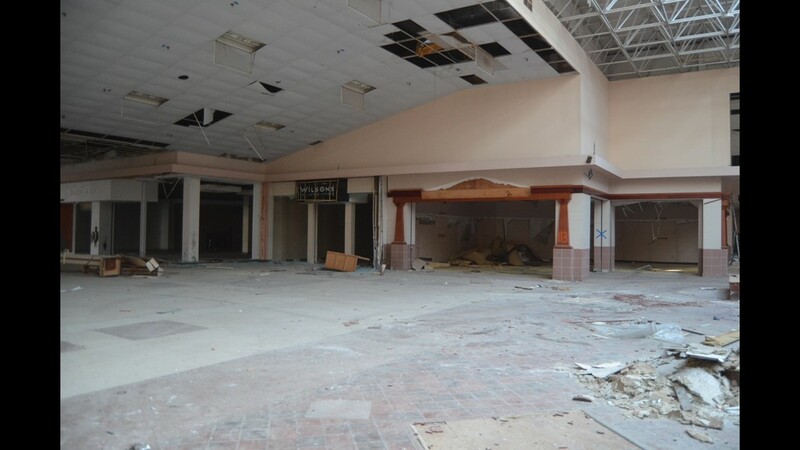 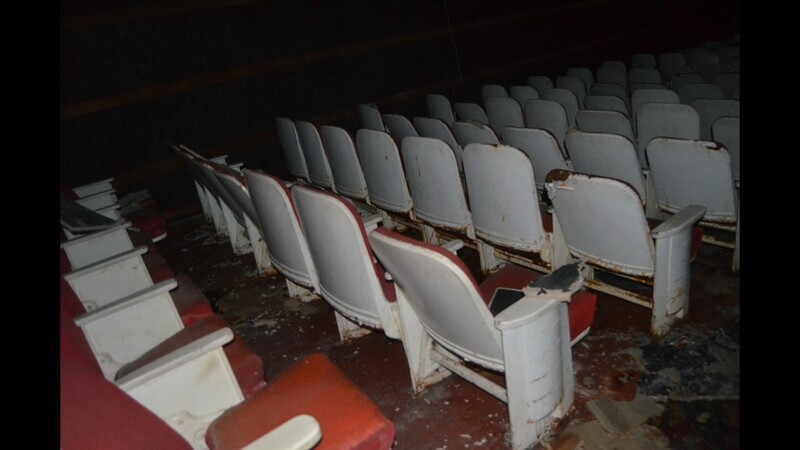 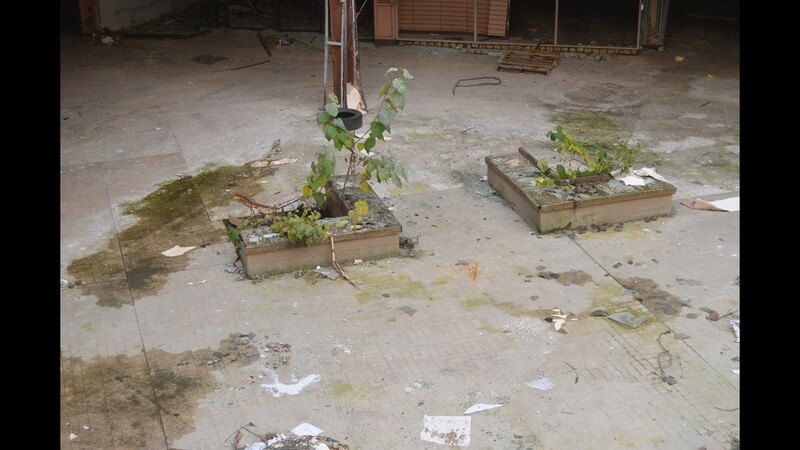 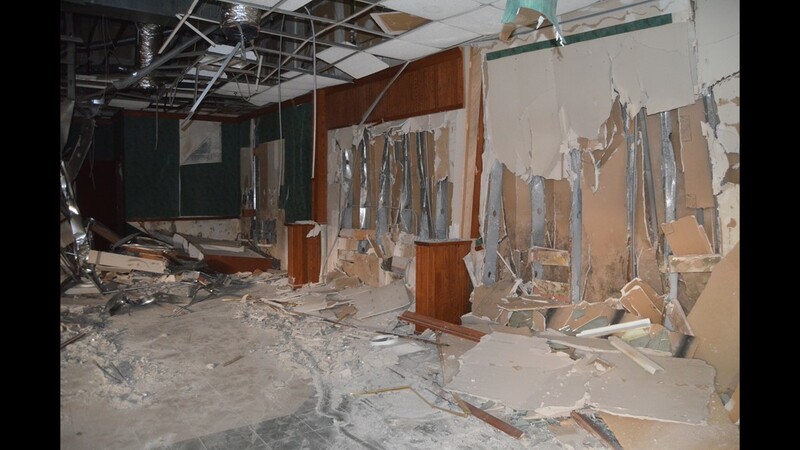 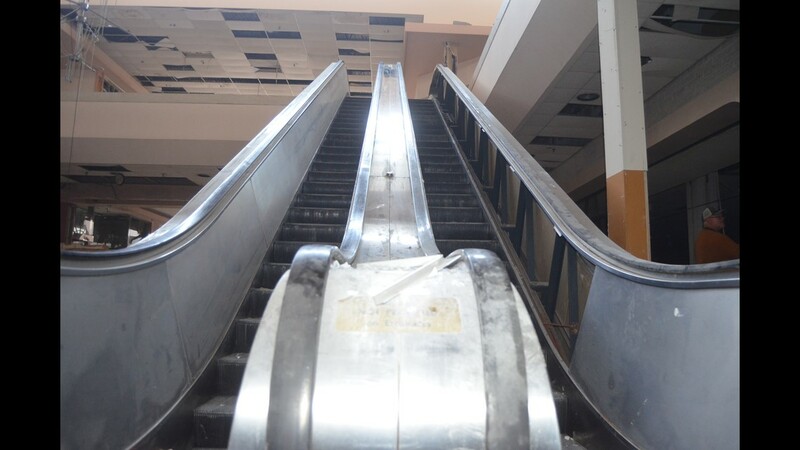 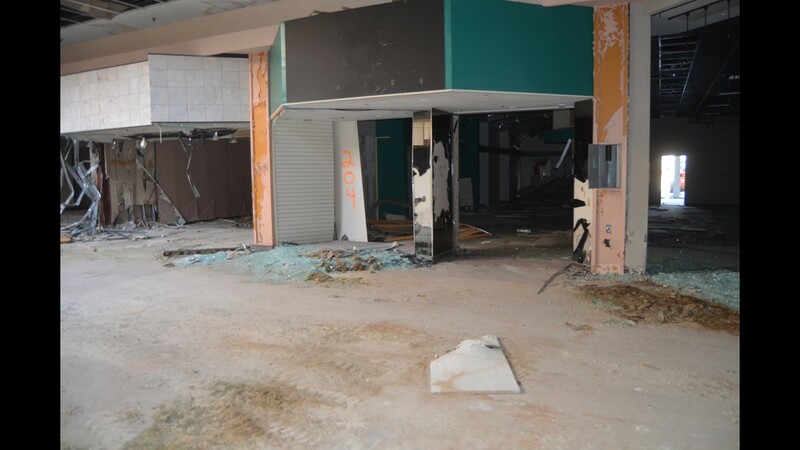 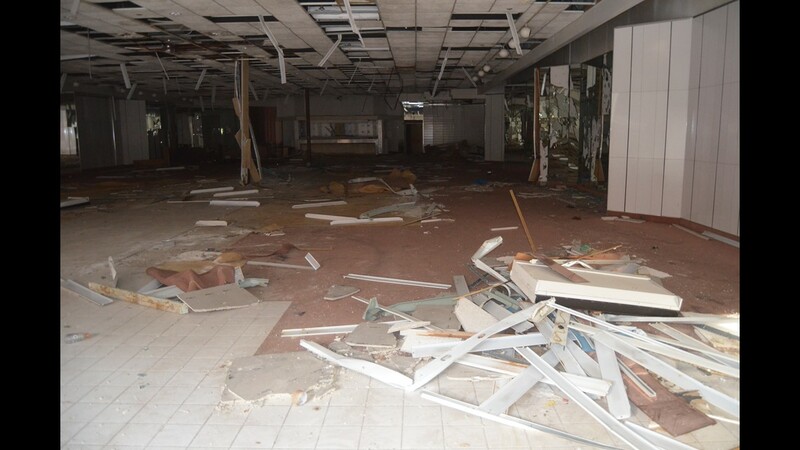 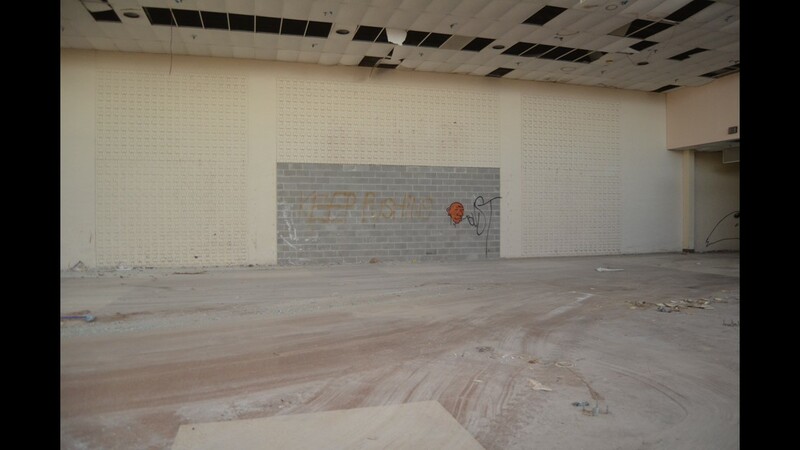 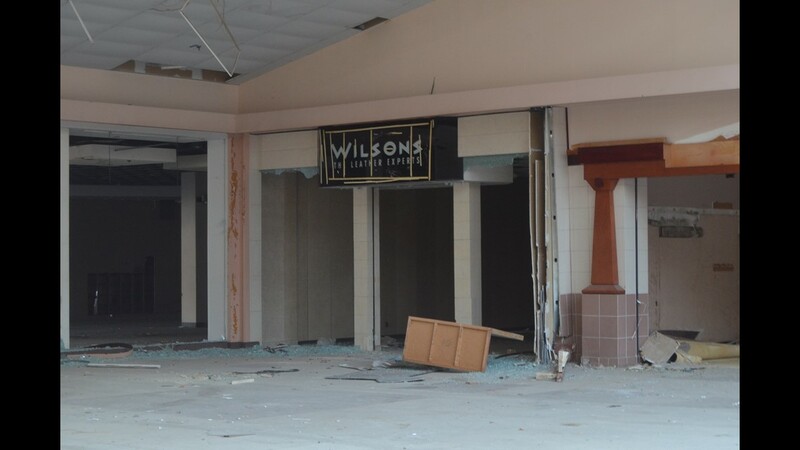 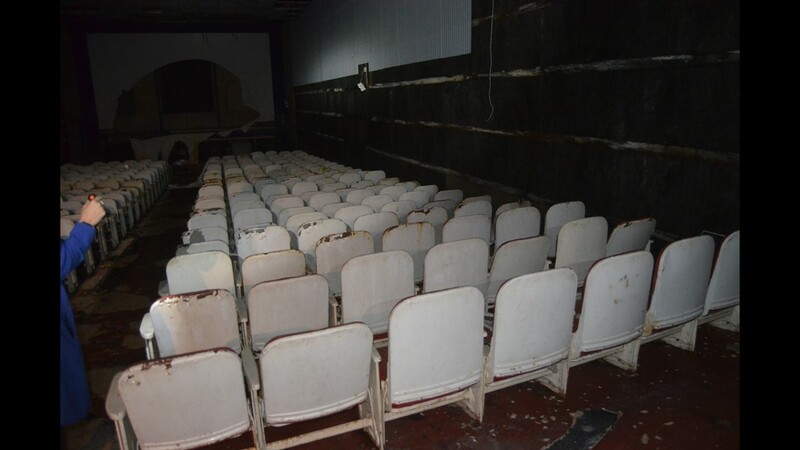 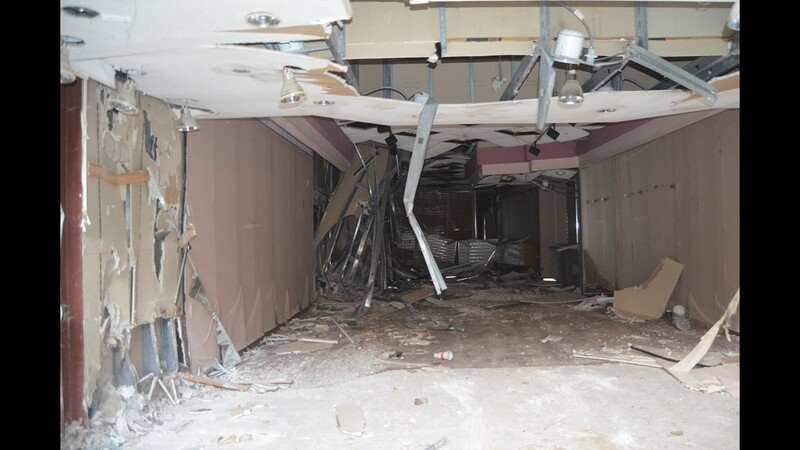 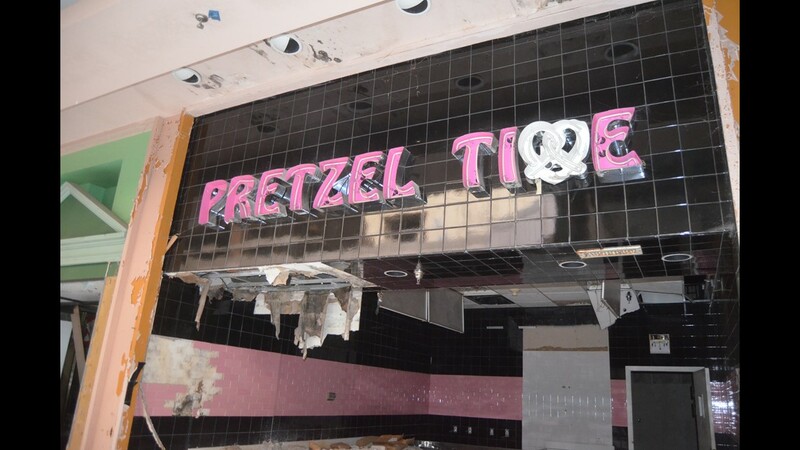 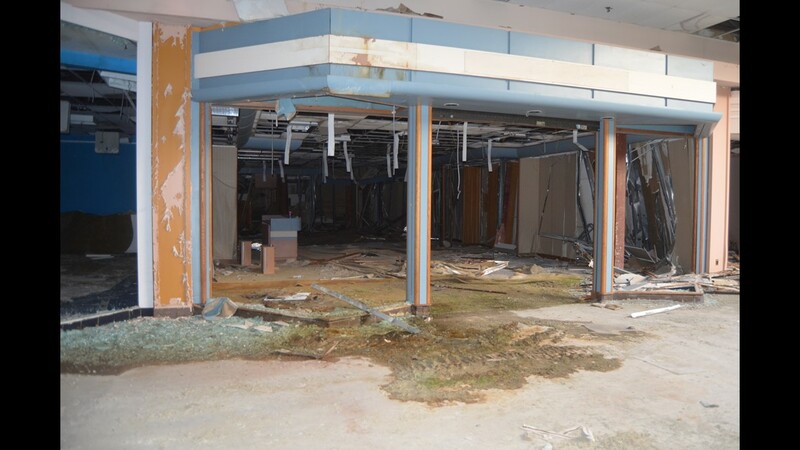 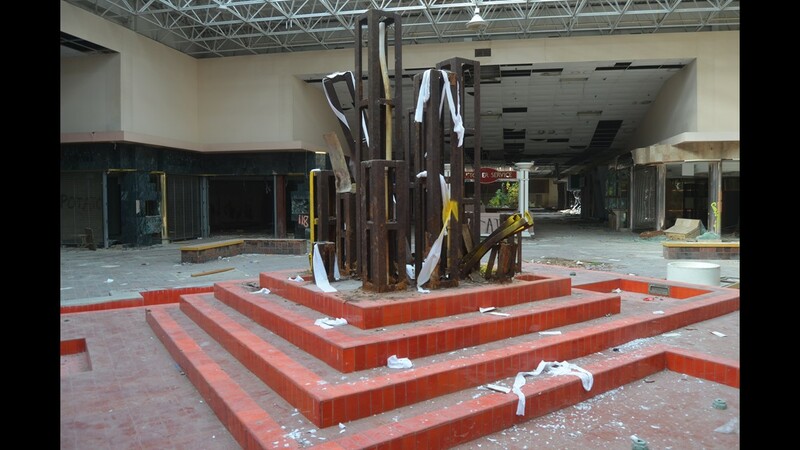 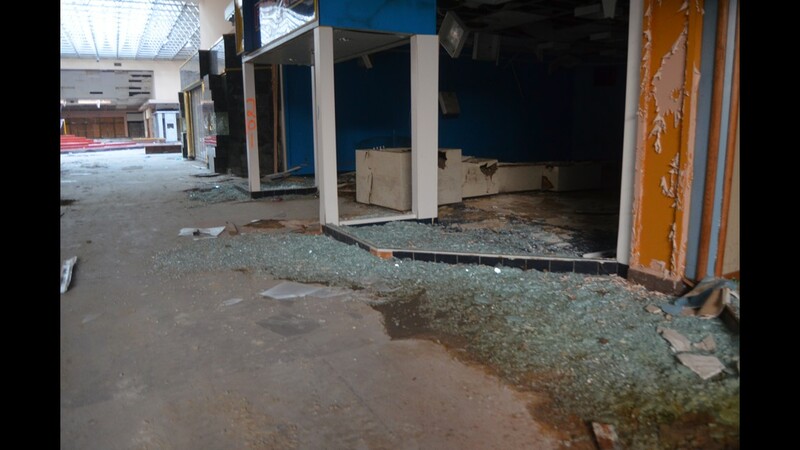 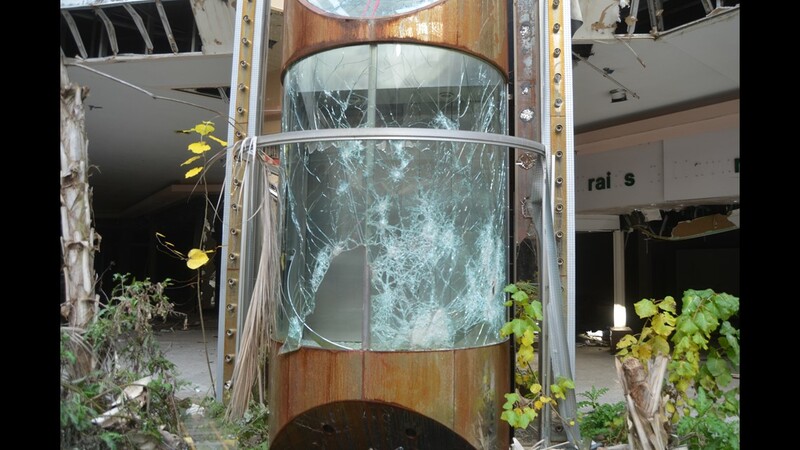 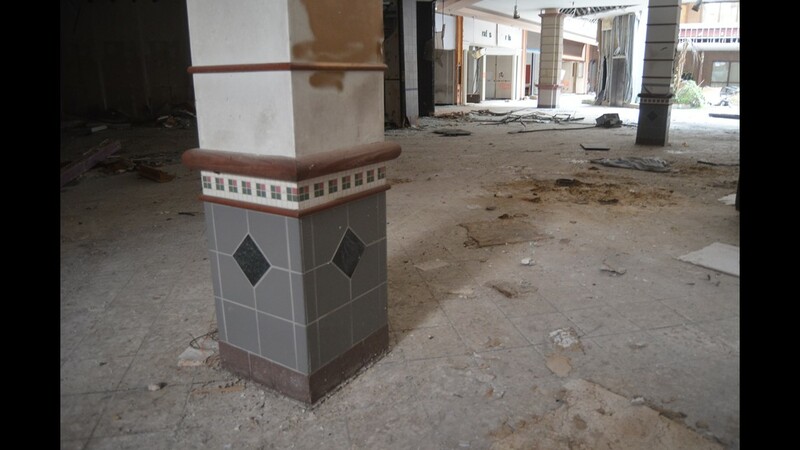 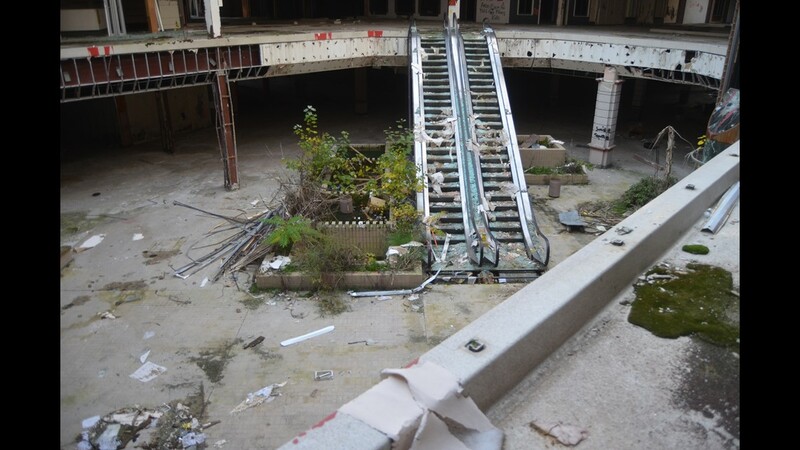 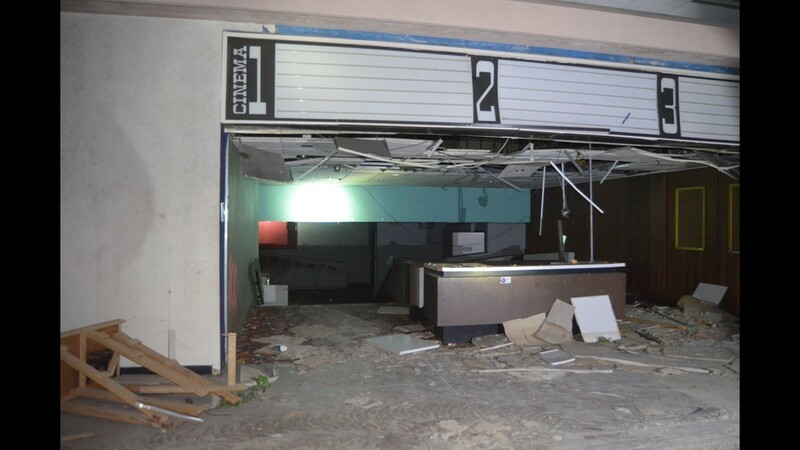 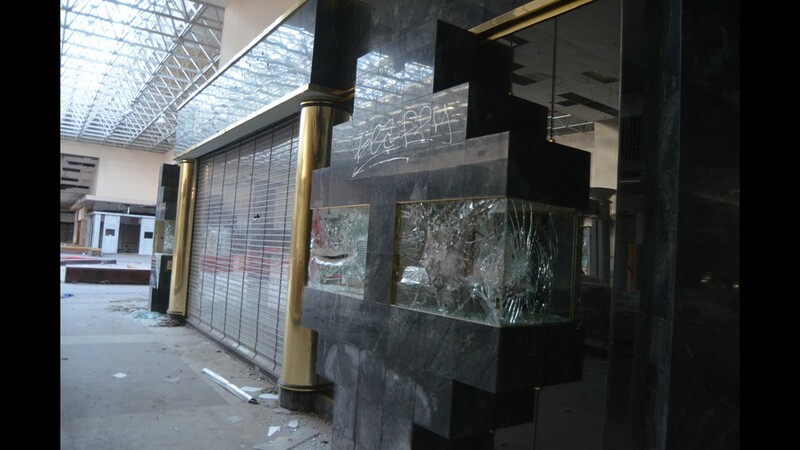 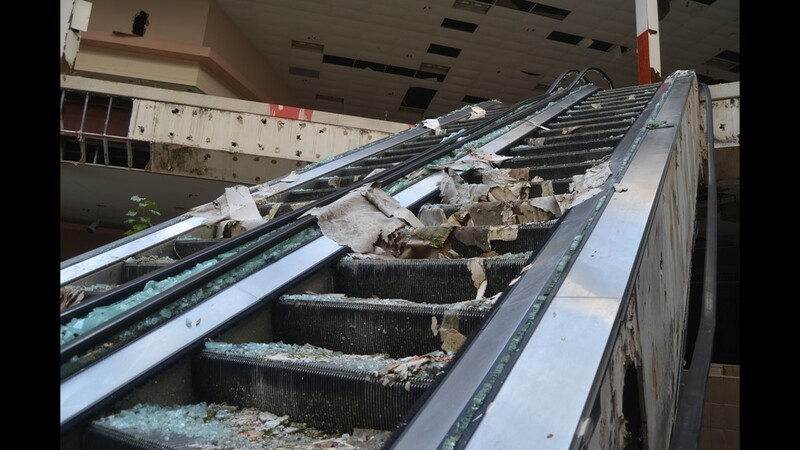 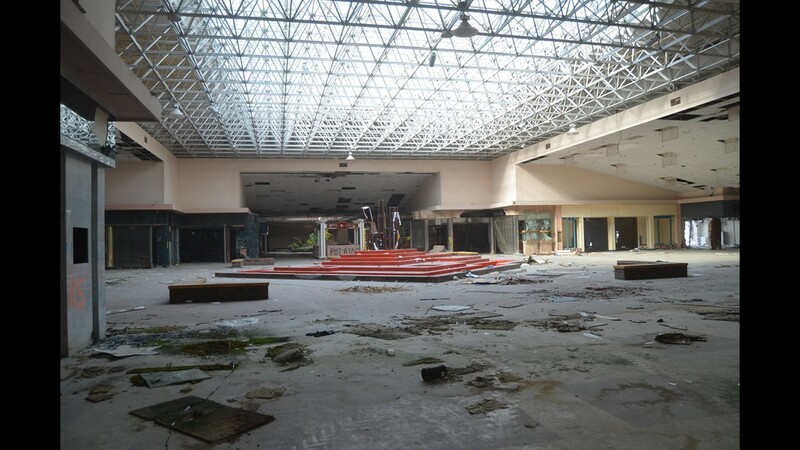 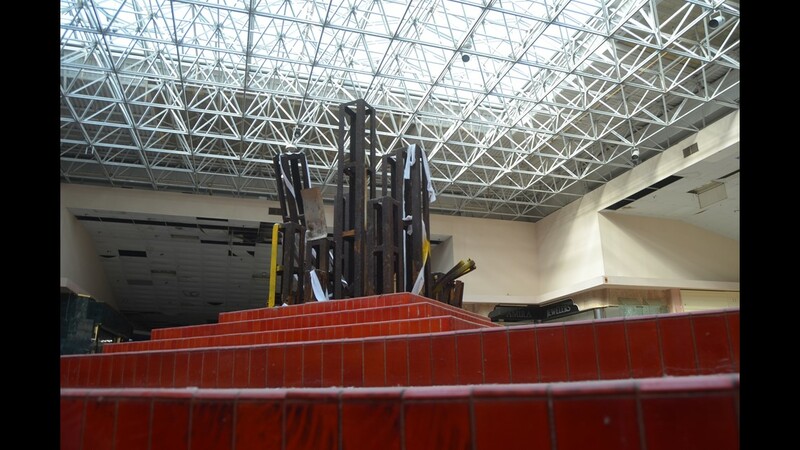 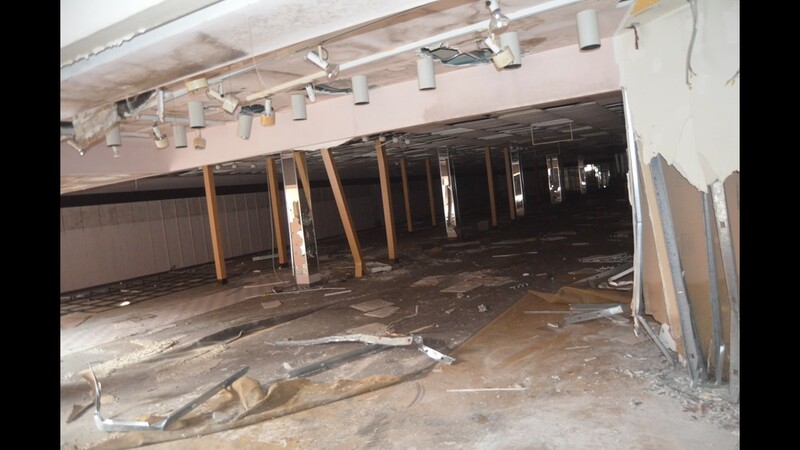 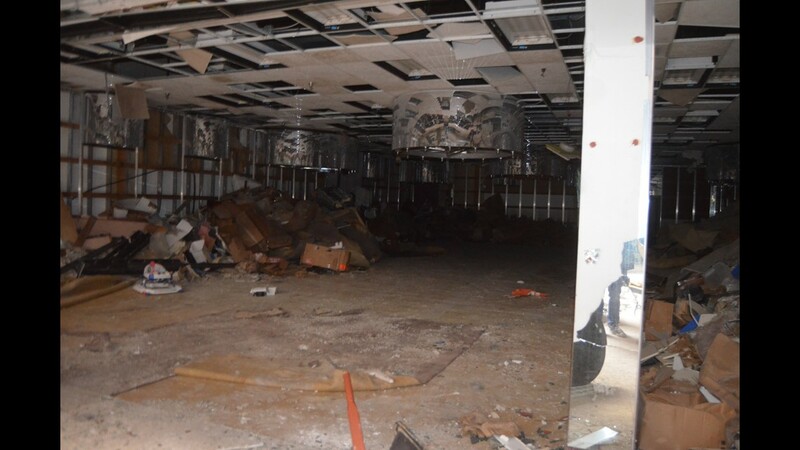 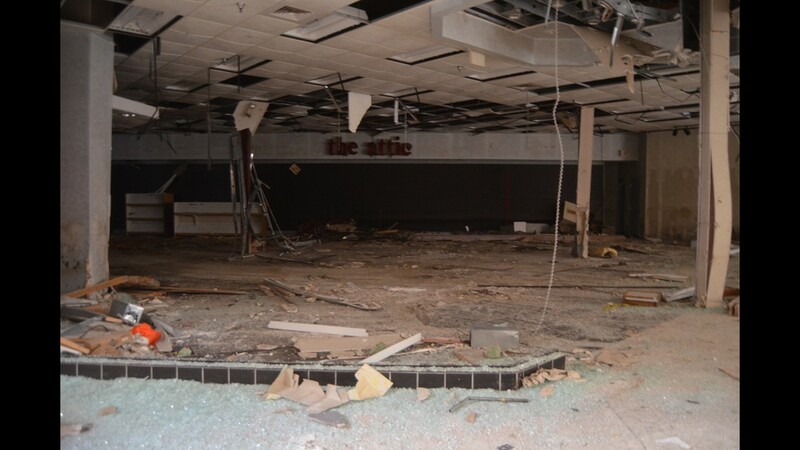 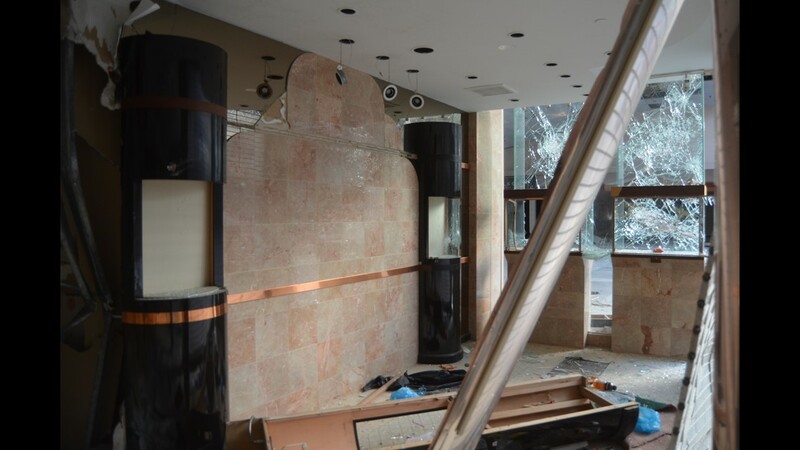 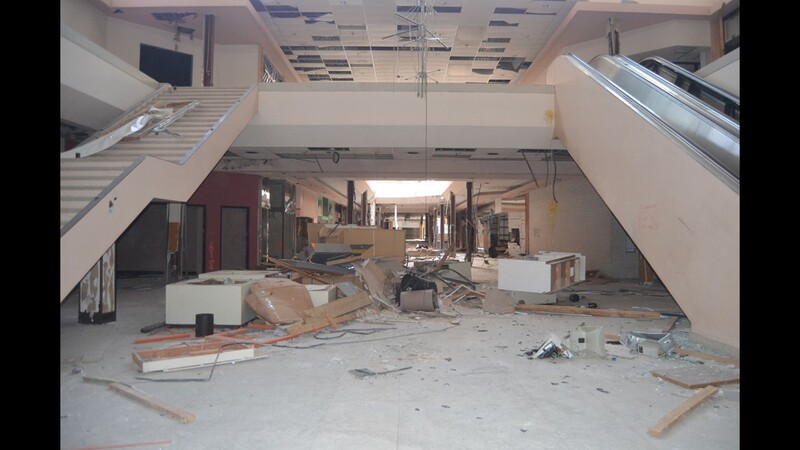 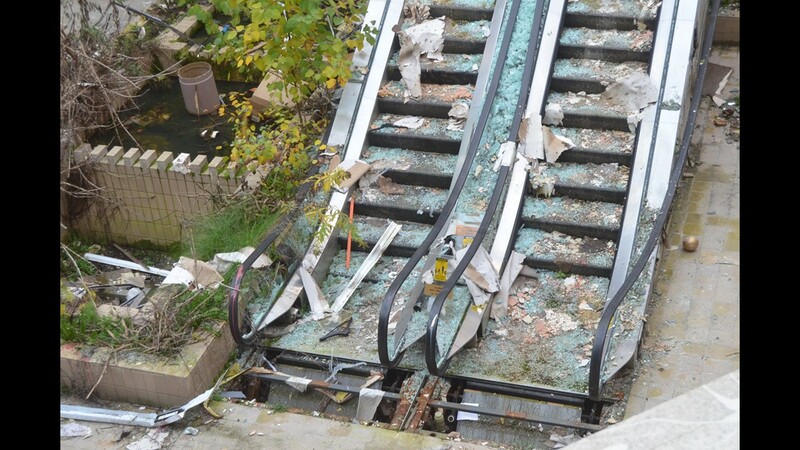 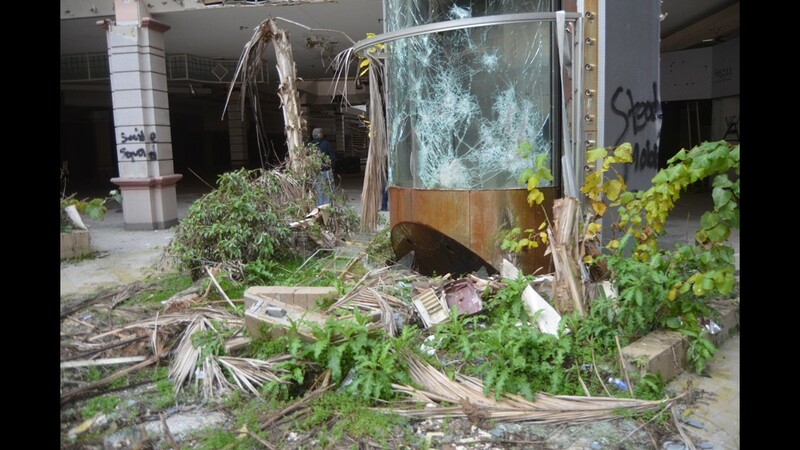 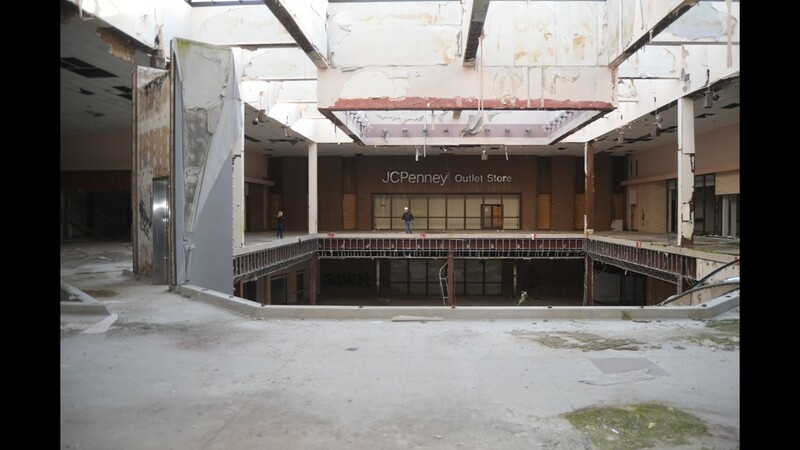 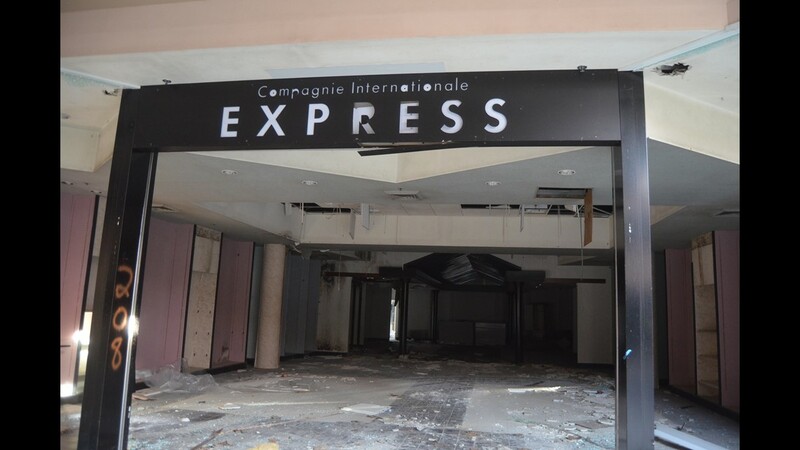 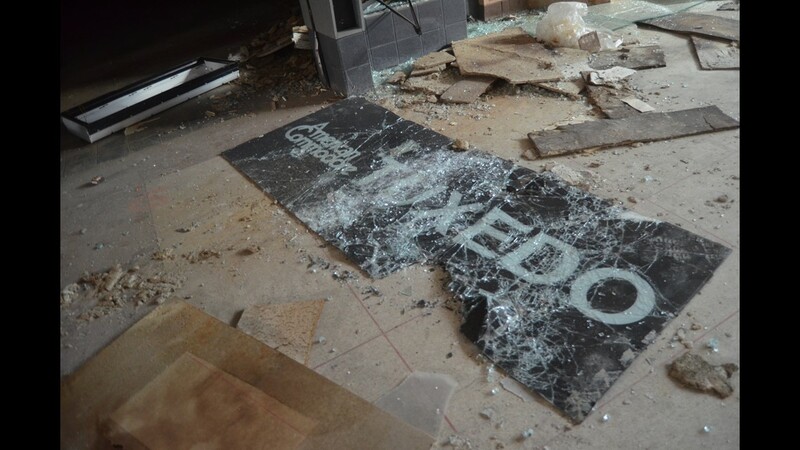 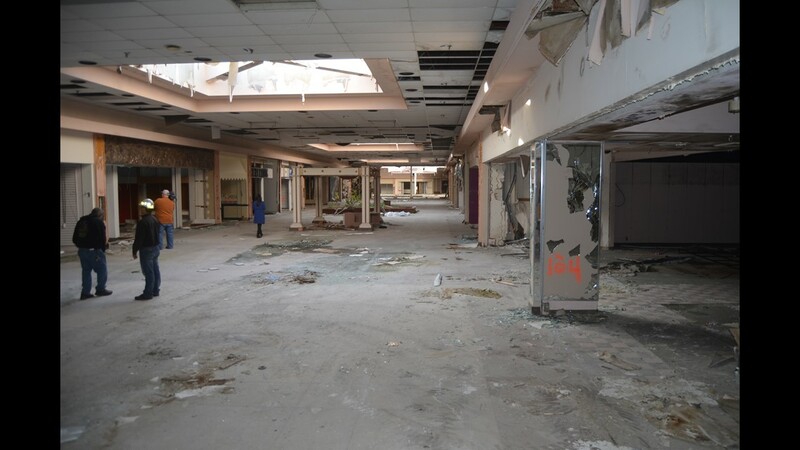 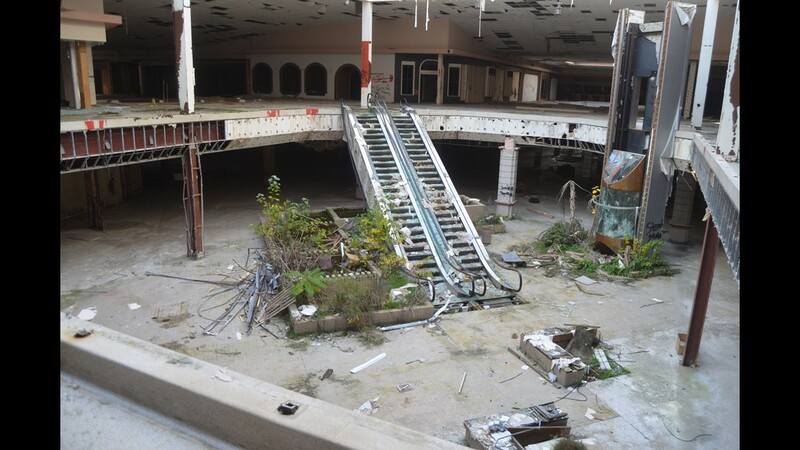 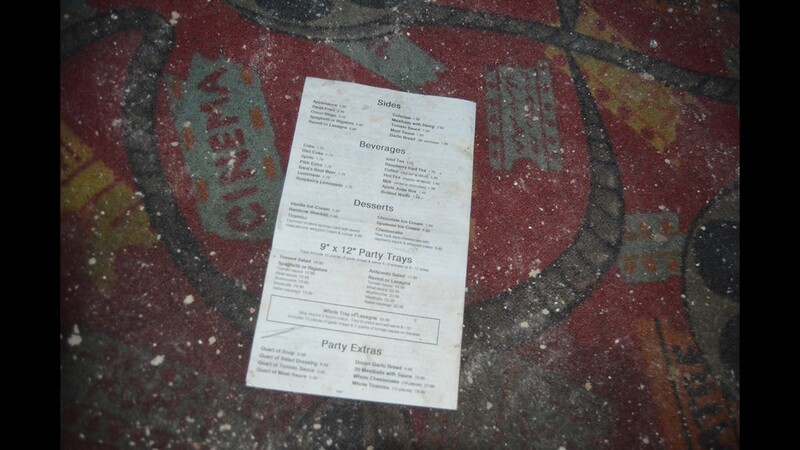 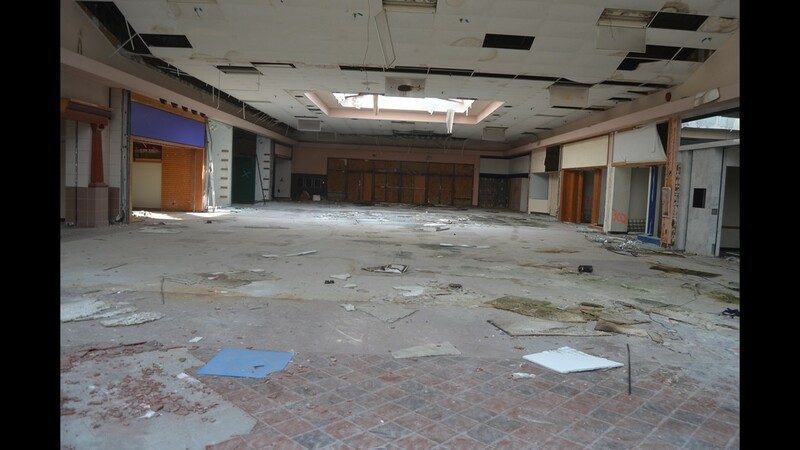 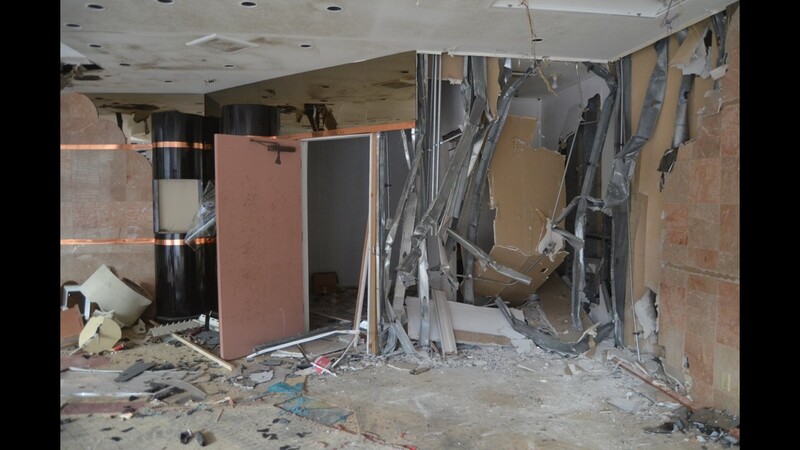 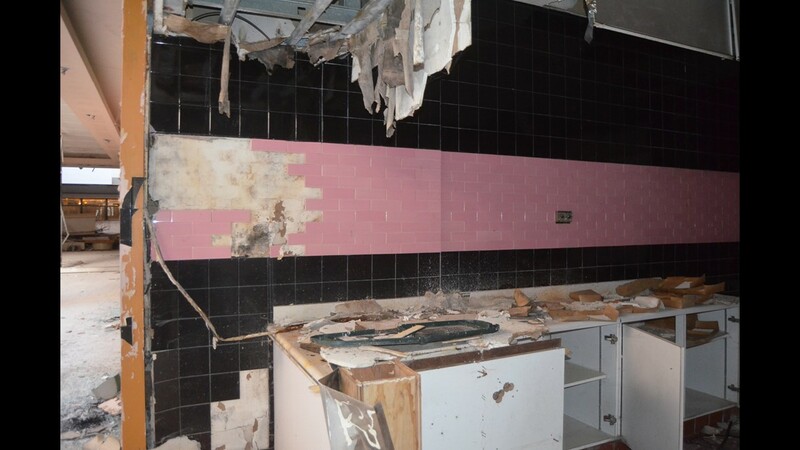 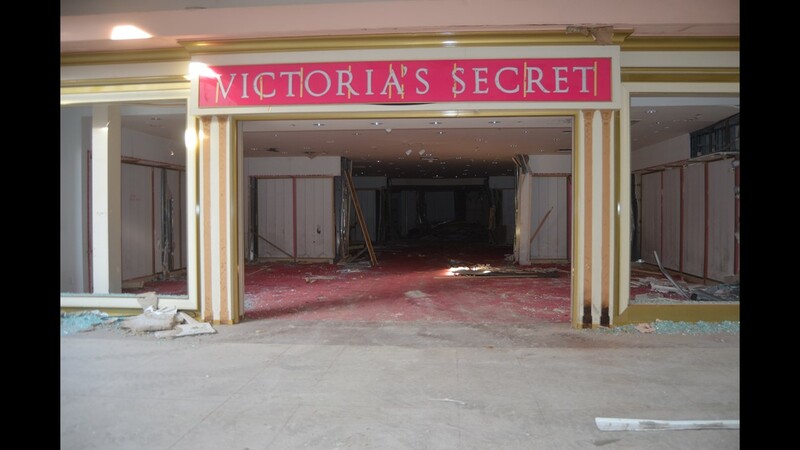 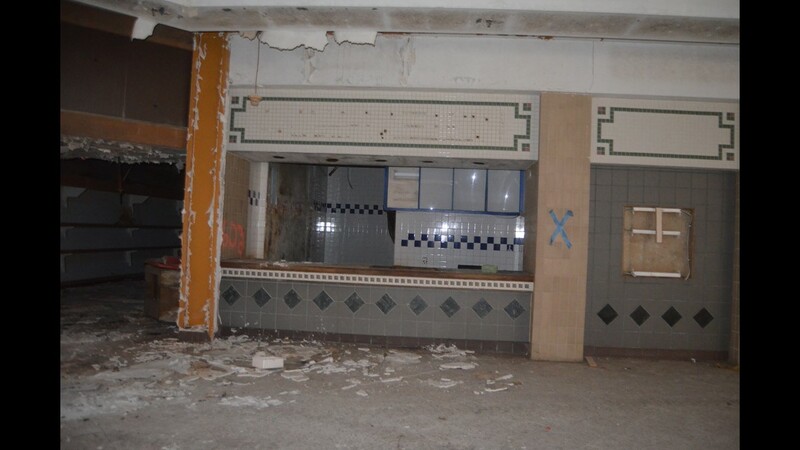 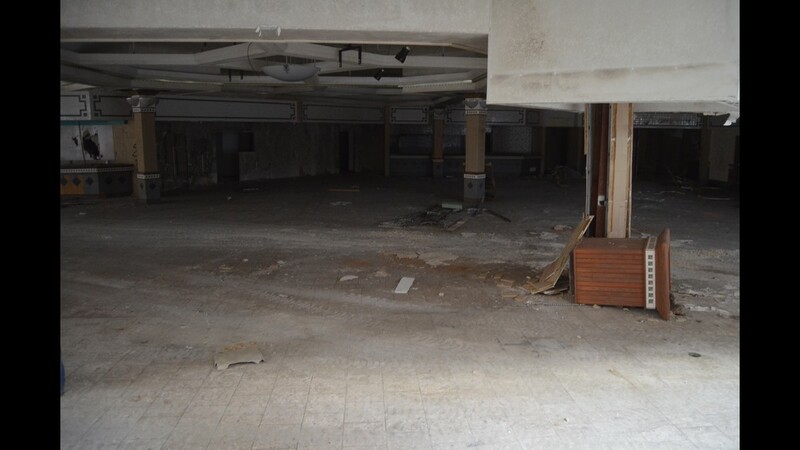 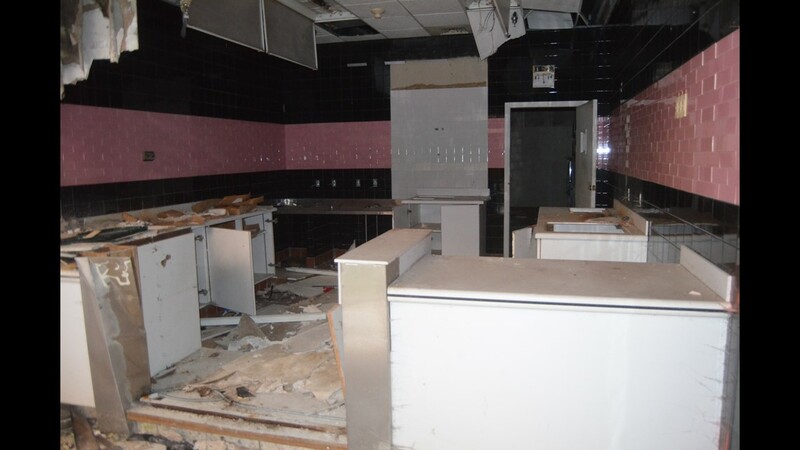 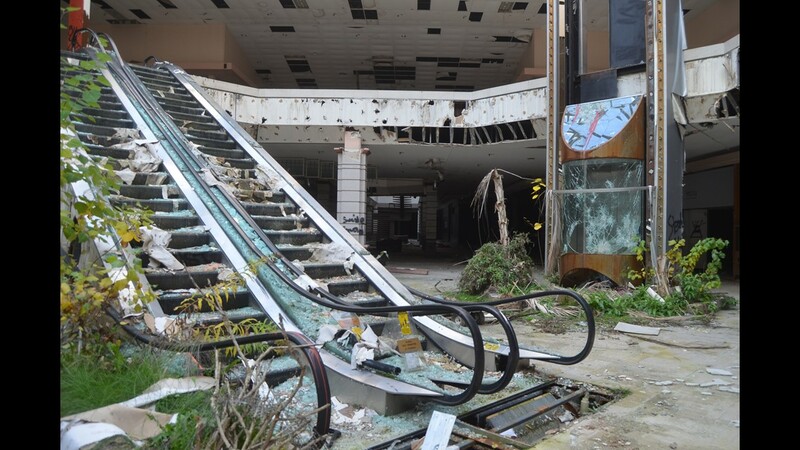 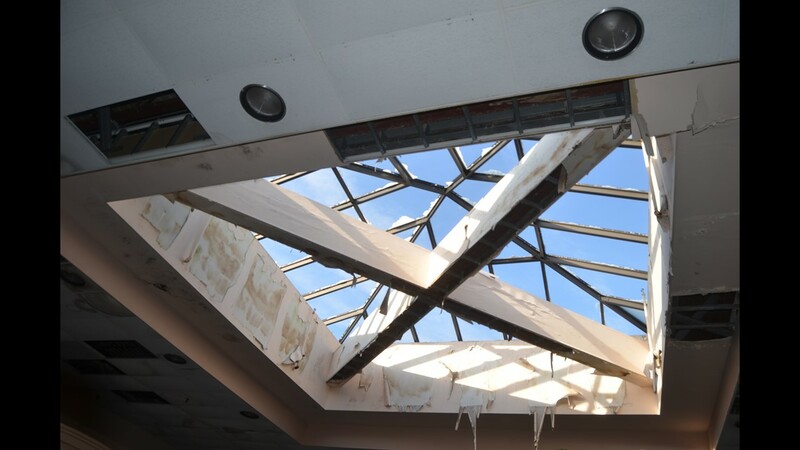 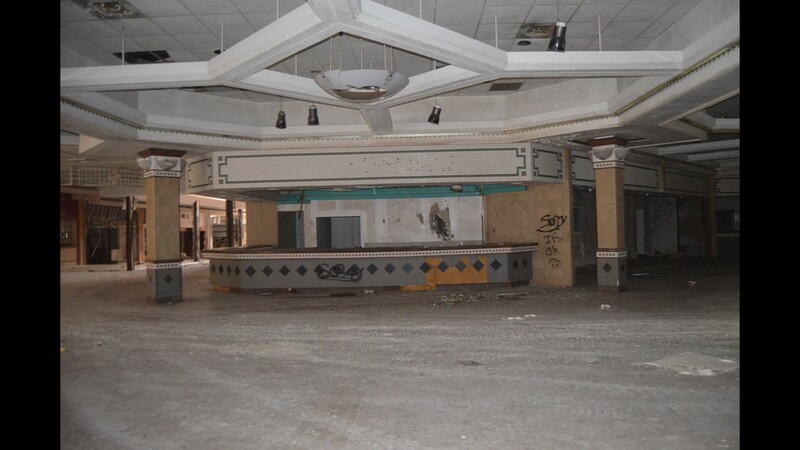 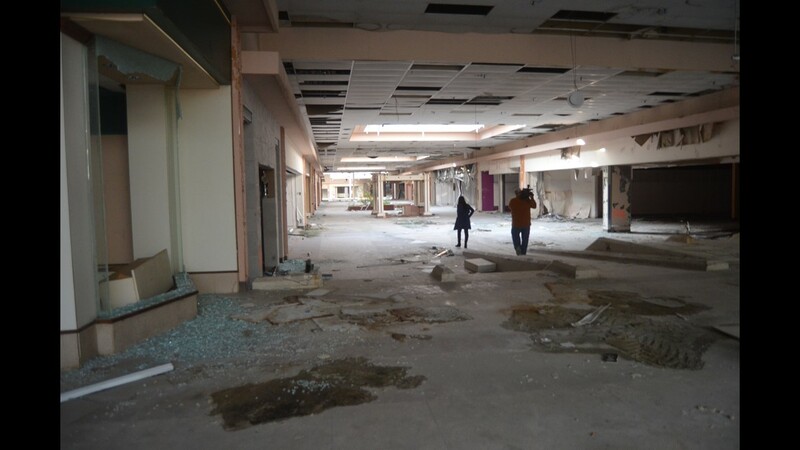 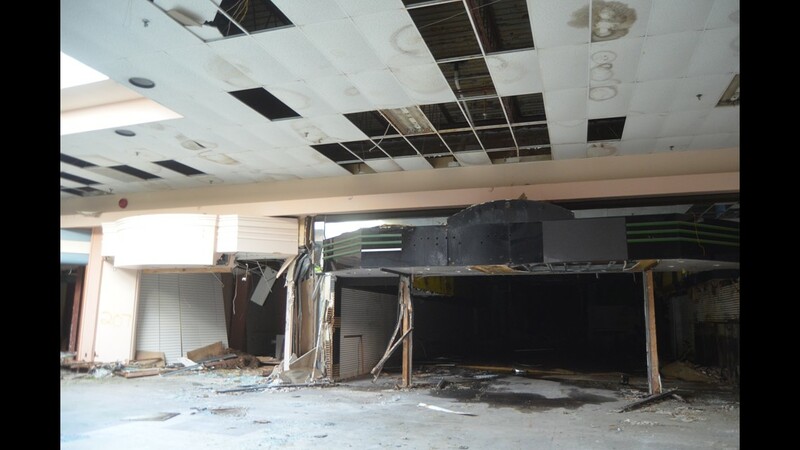 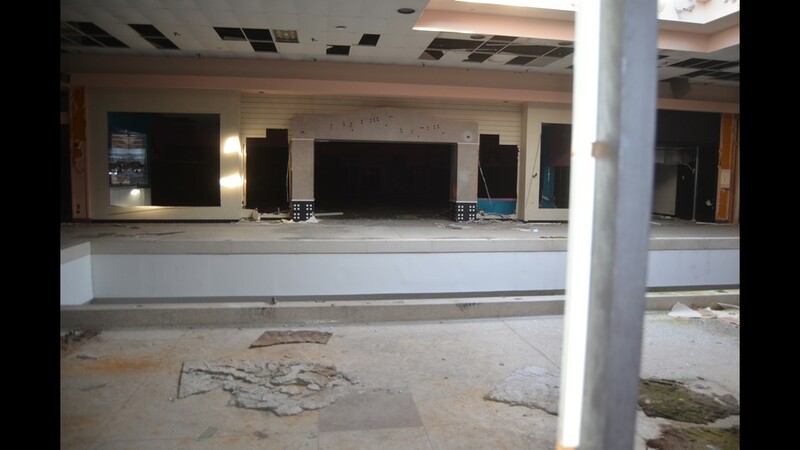 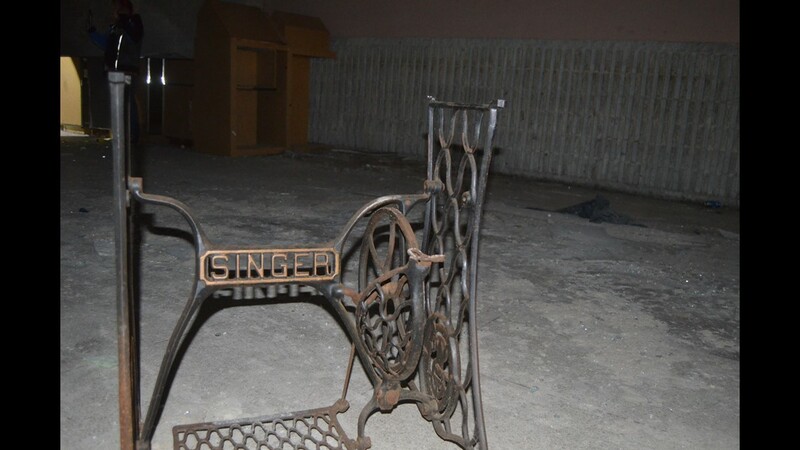 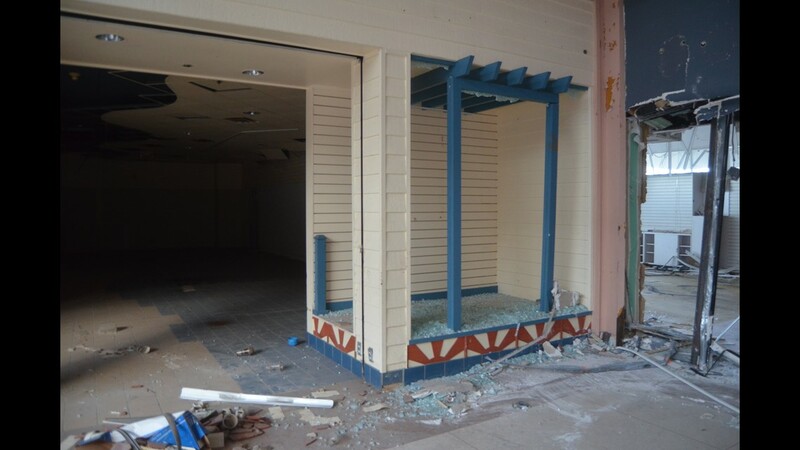 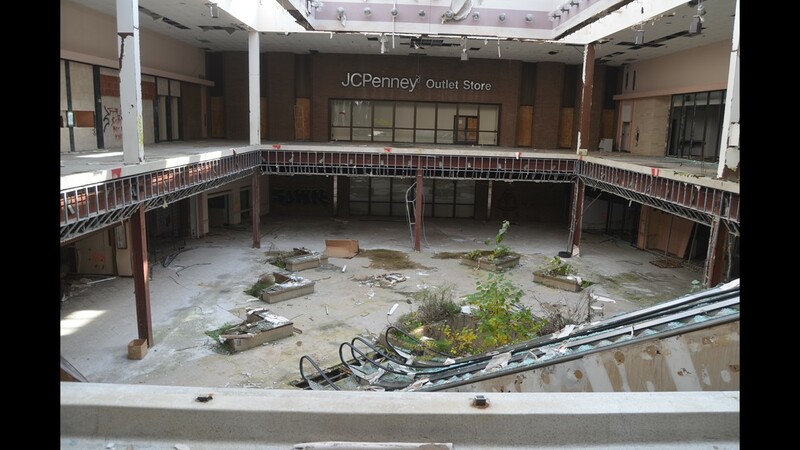 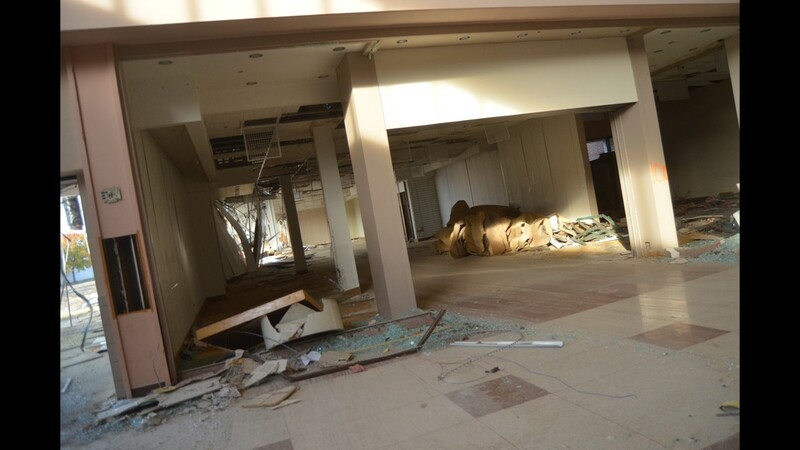 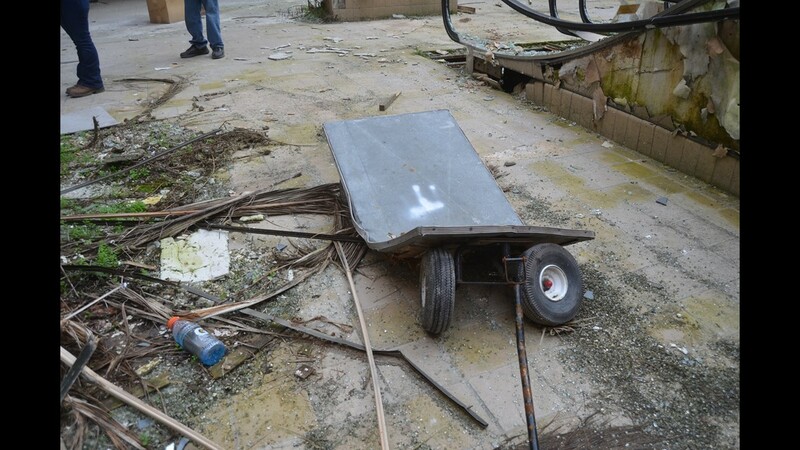 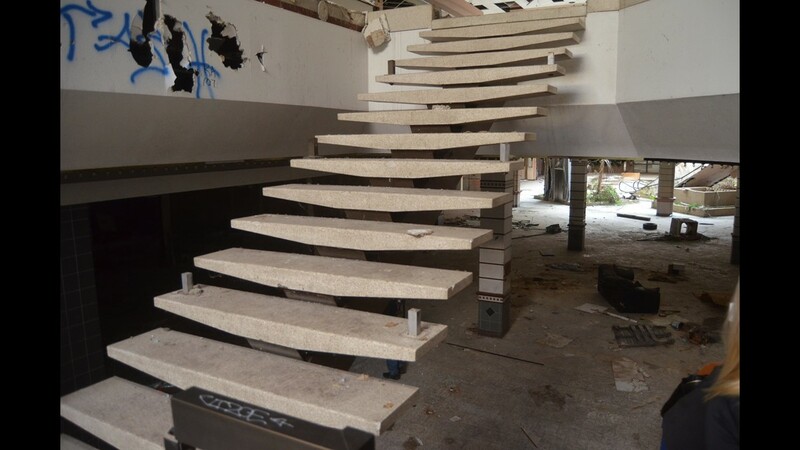 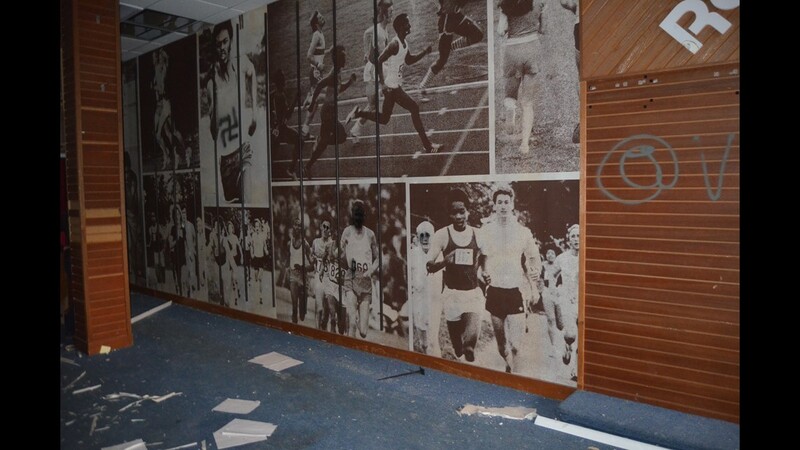 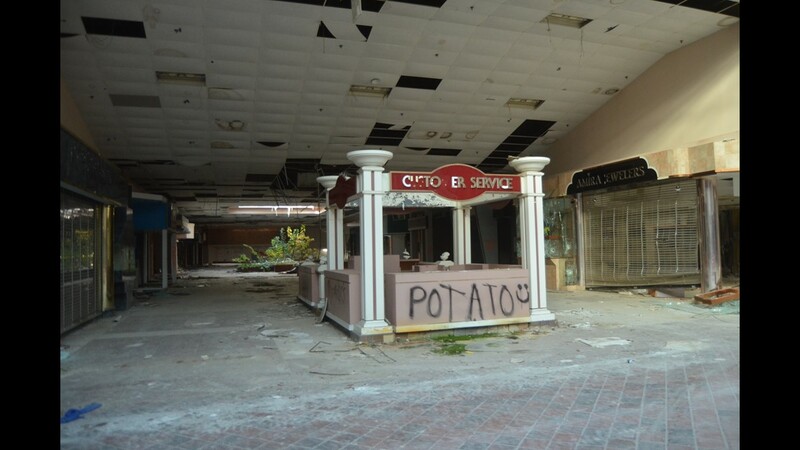 Nov. 1, 2016: WKYC was exclusively invited to Rolling Acres Mall for one final glimpse inside before demolition takes over. 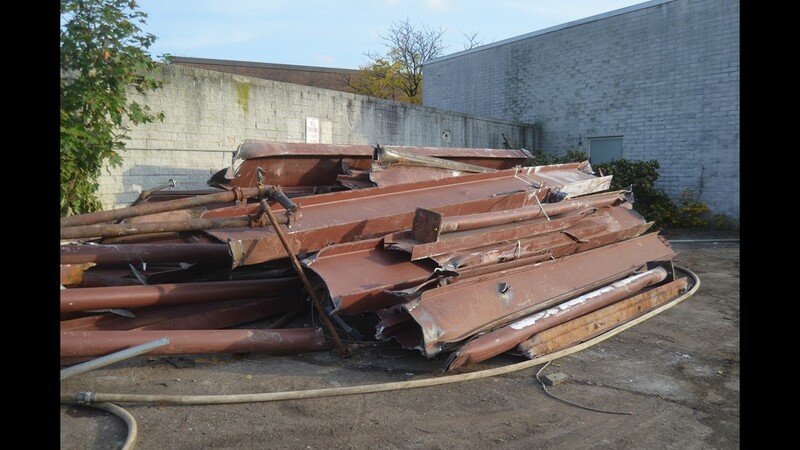 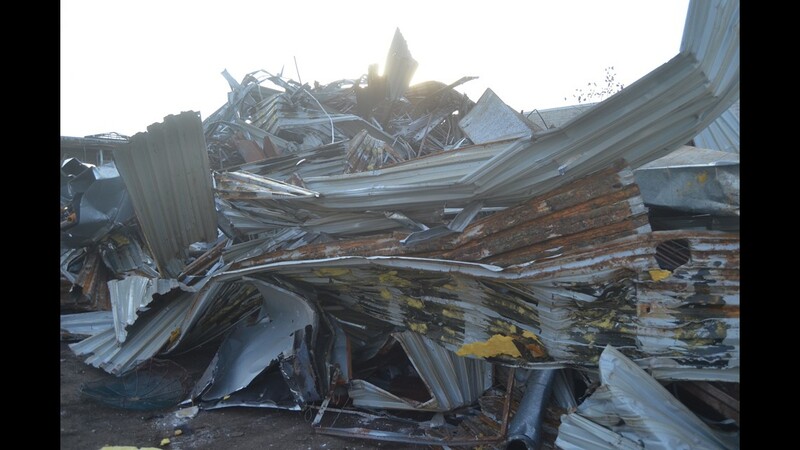 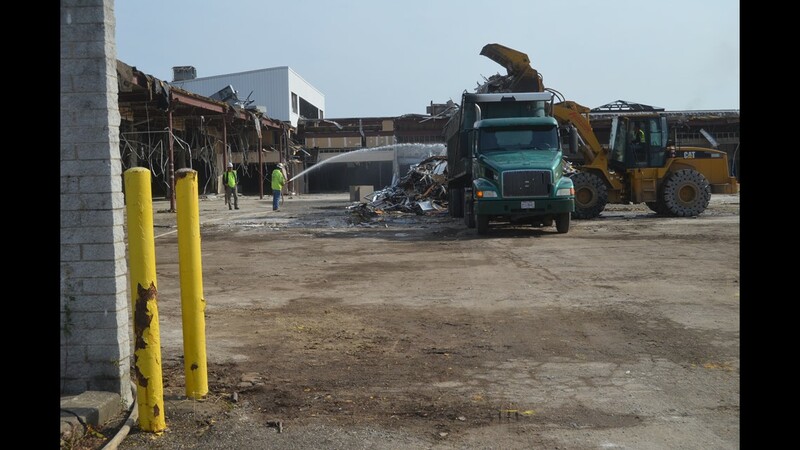 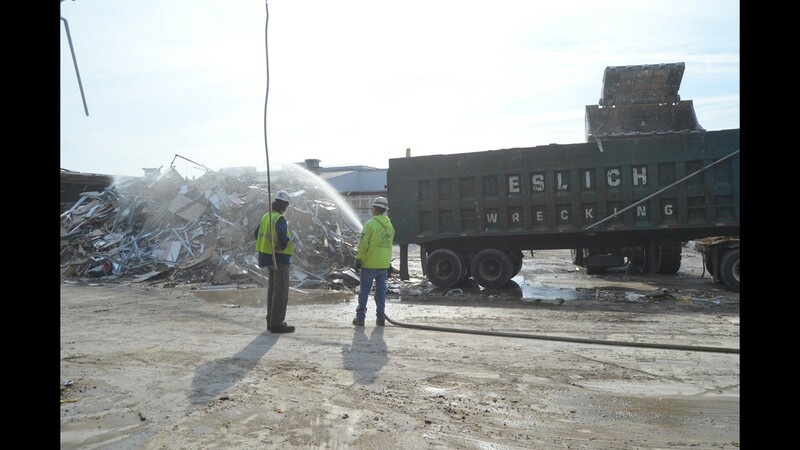 Eslich Wrecking has already started taking the structure down, which will take several months. 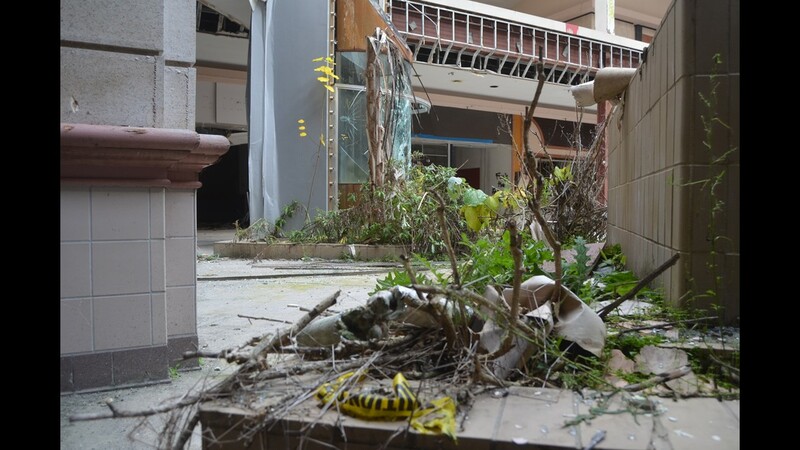 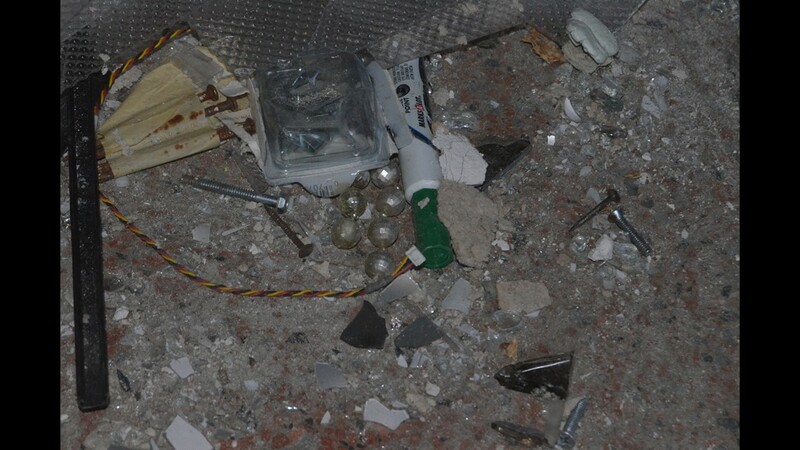 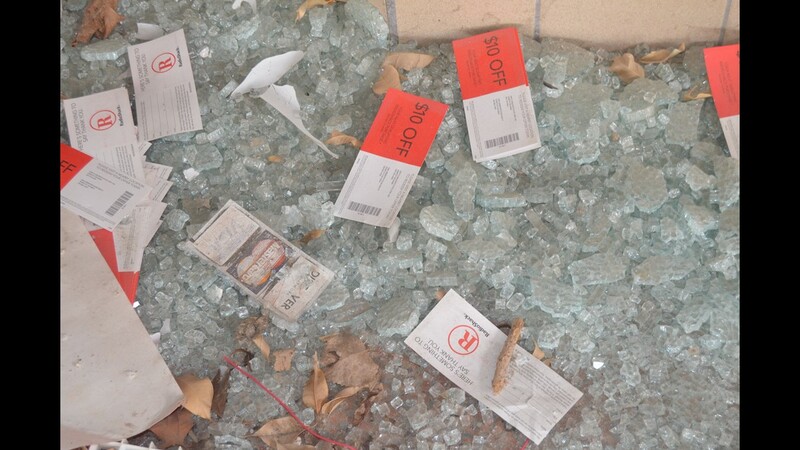 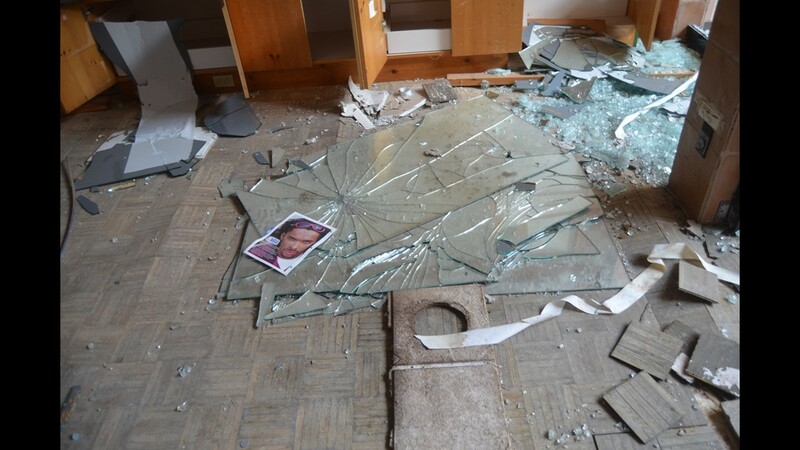 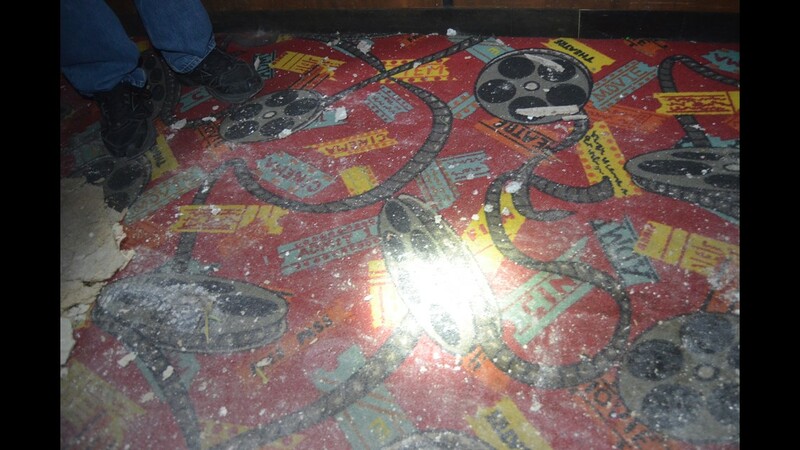 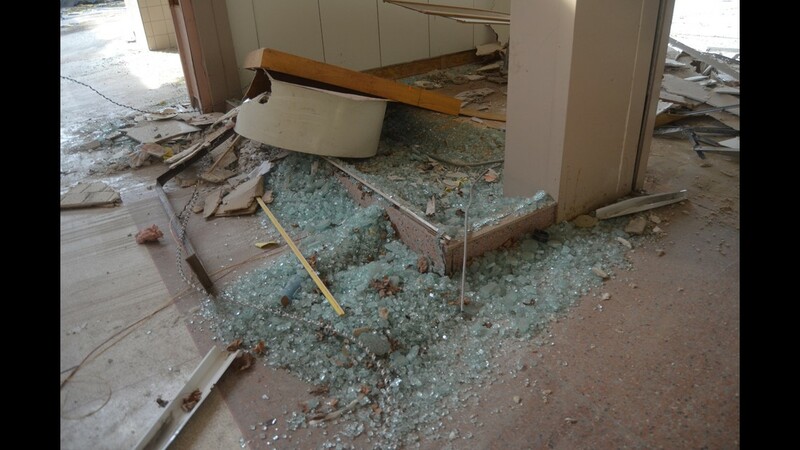 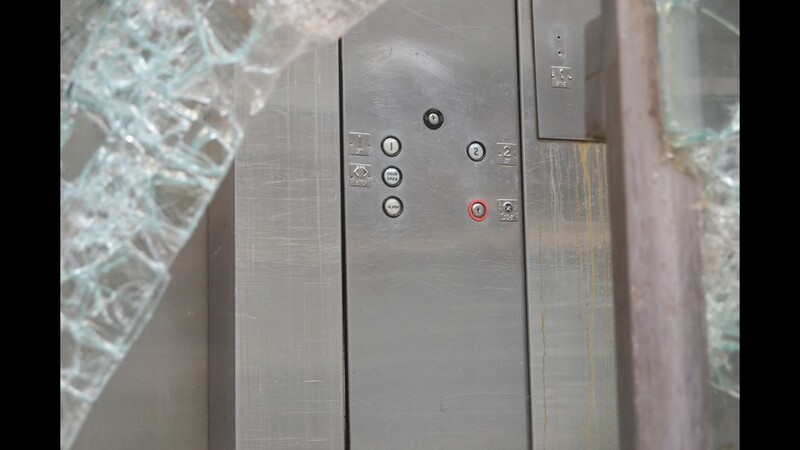 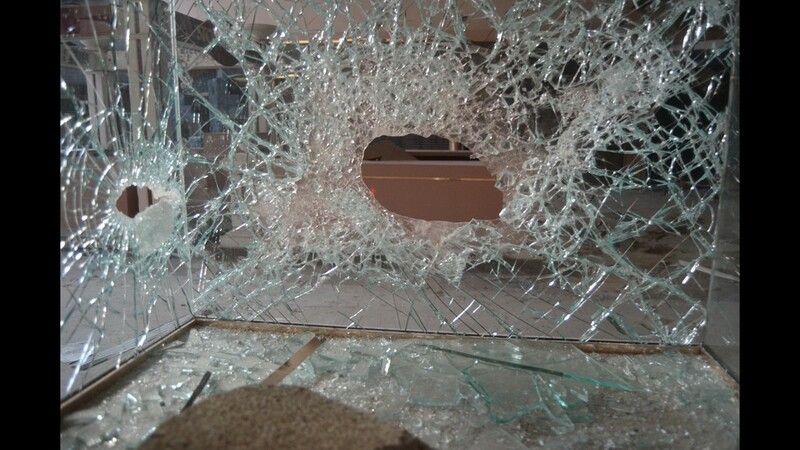 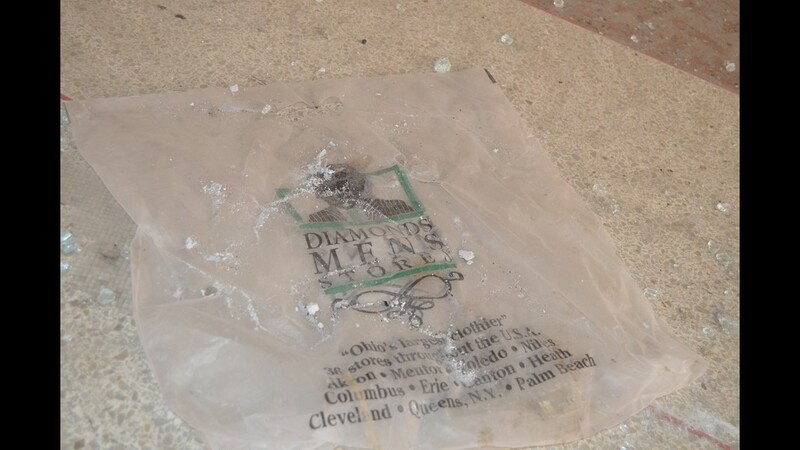 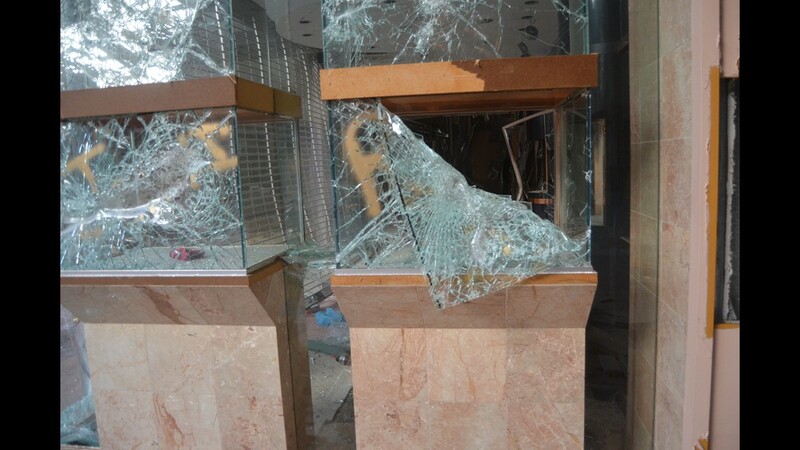 Photos by Ryan Haidet, WKYC-TV.